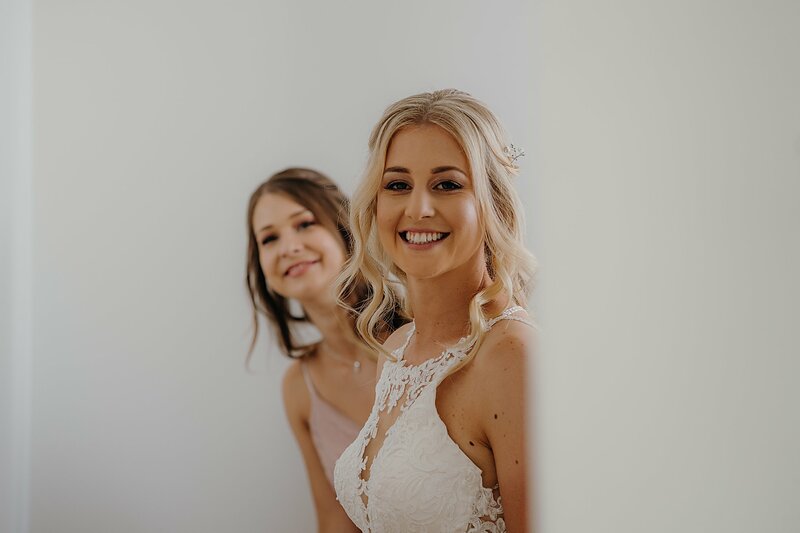 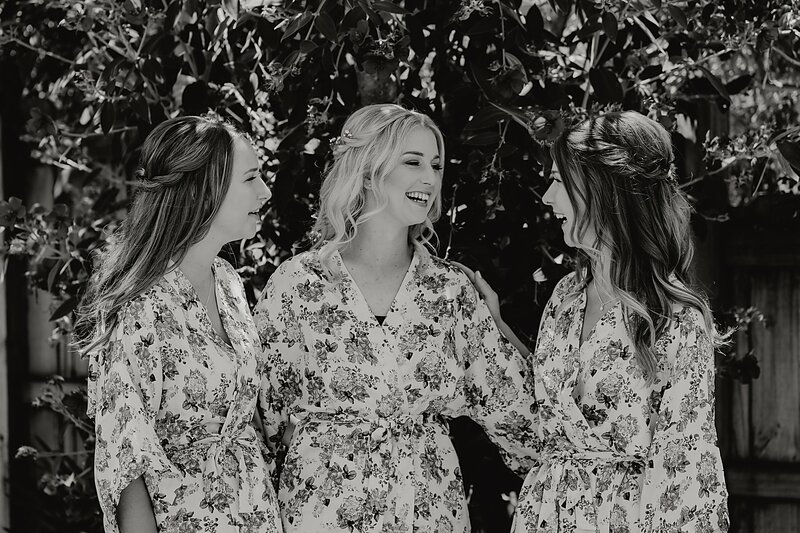 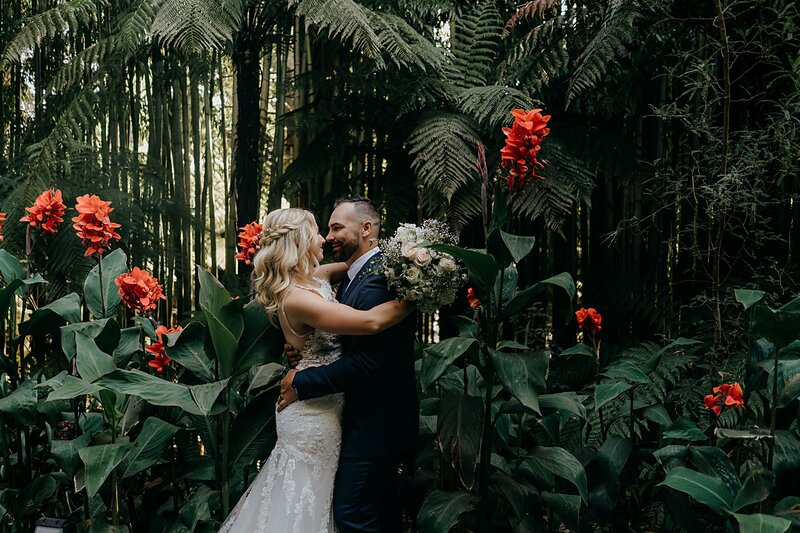 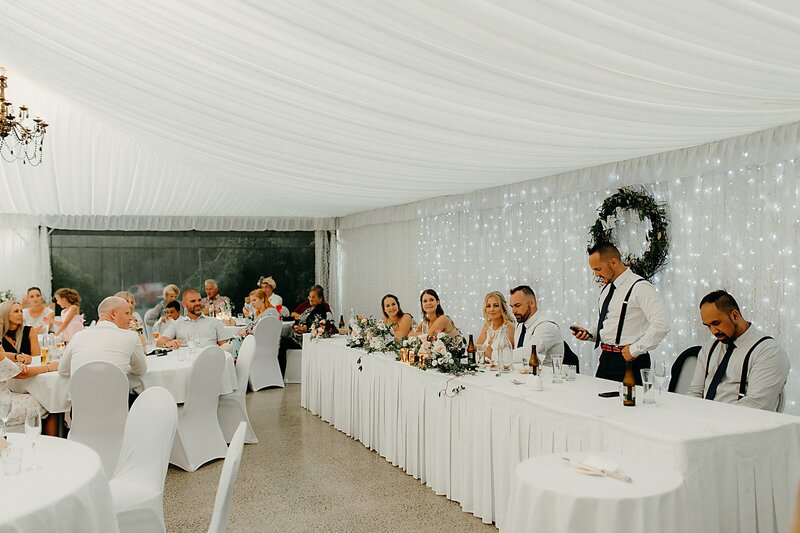 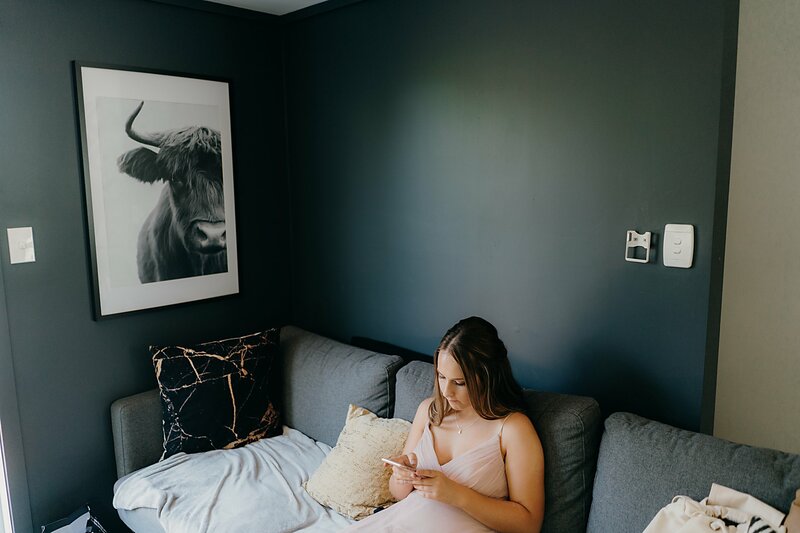 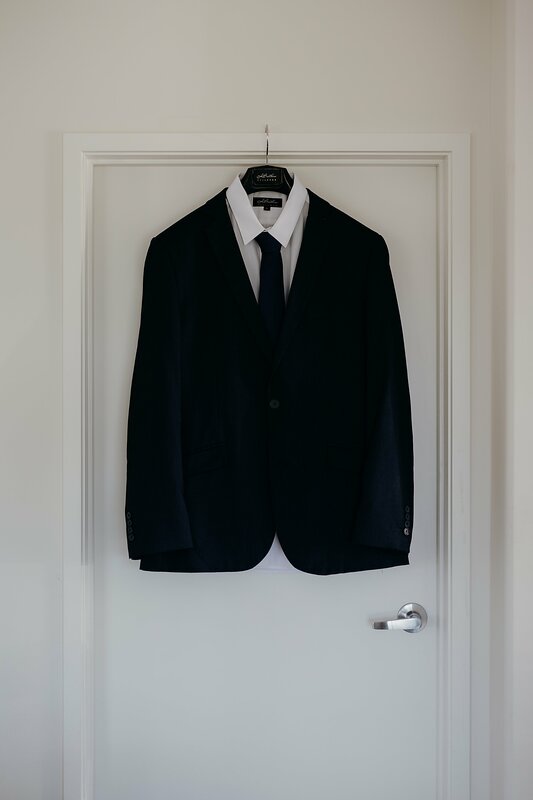 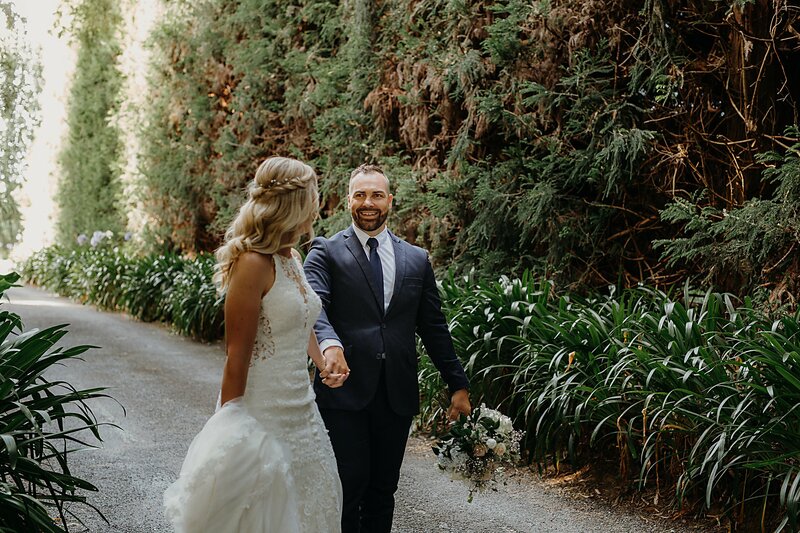 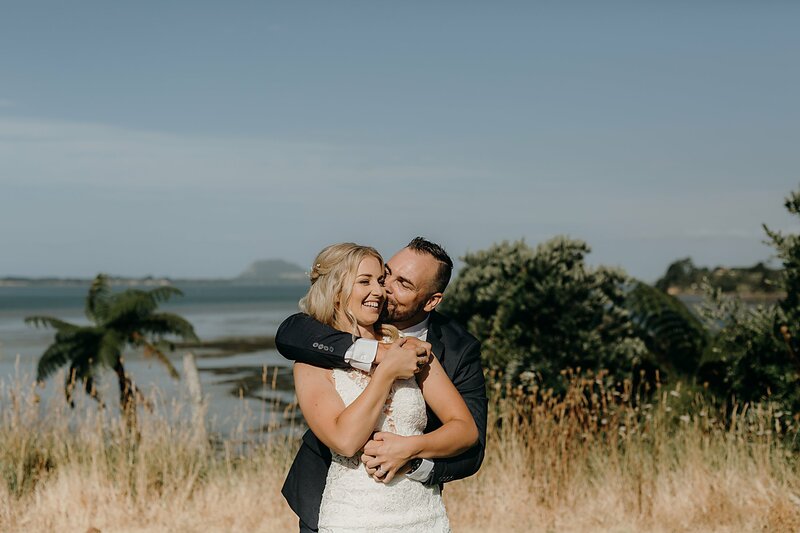 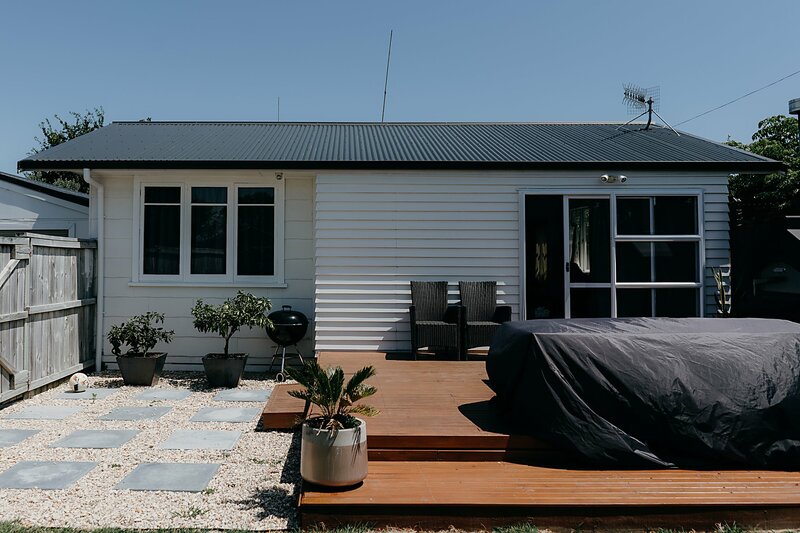 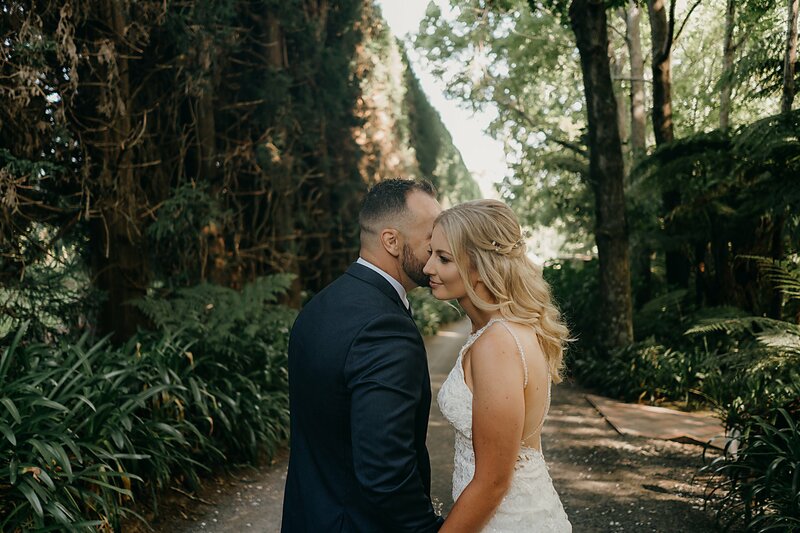 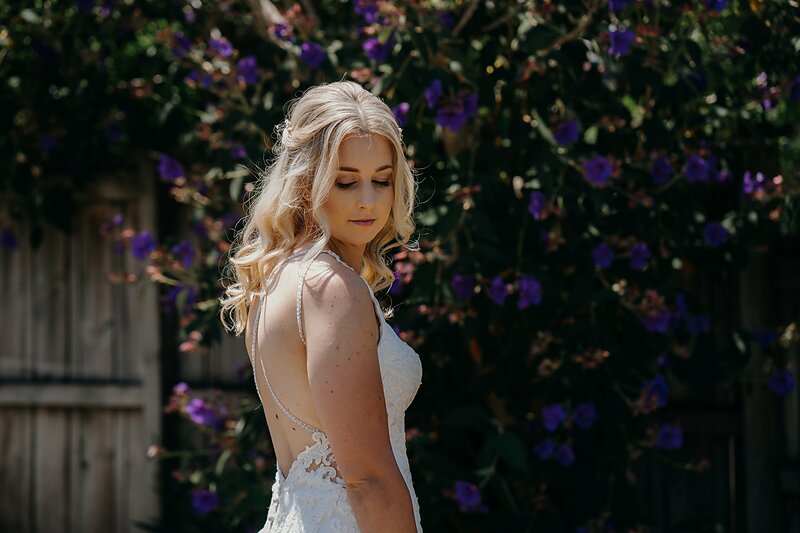 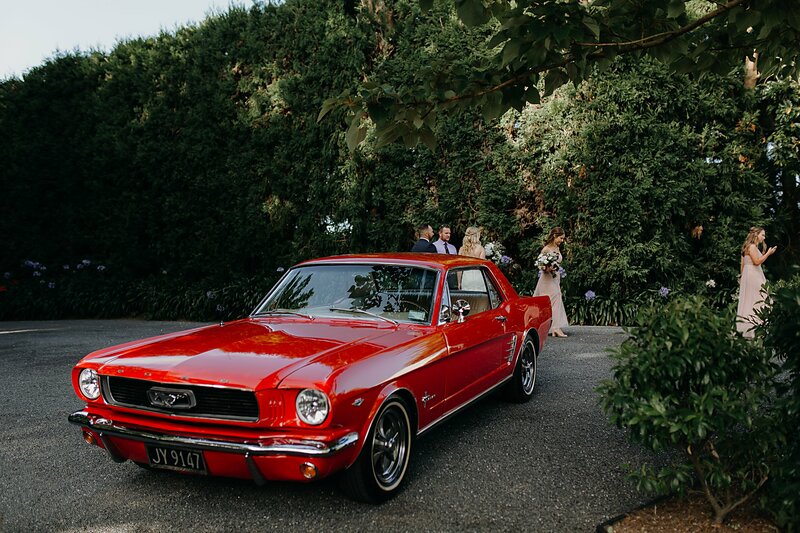 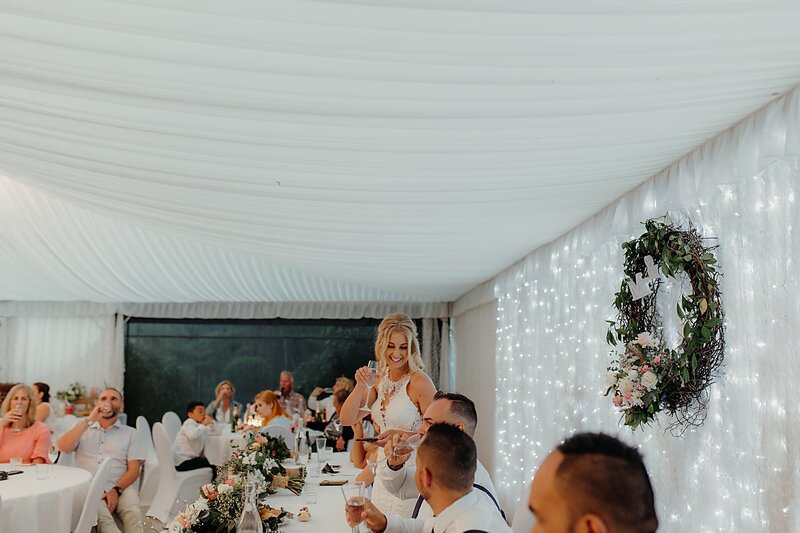 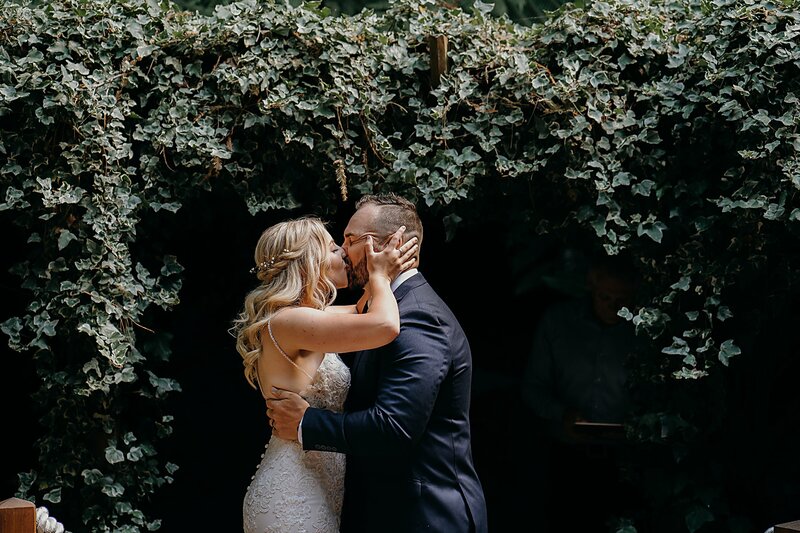 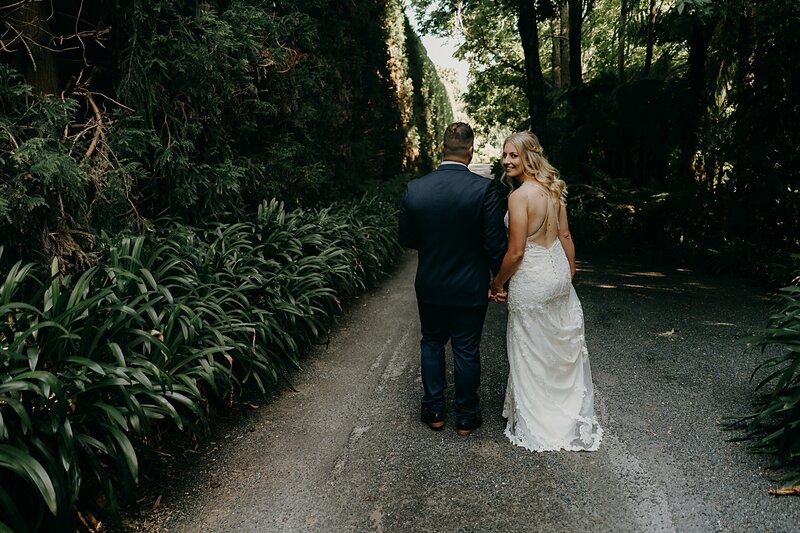 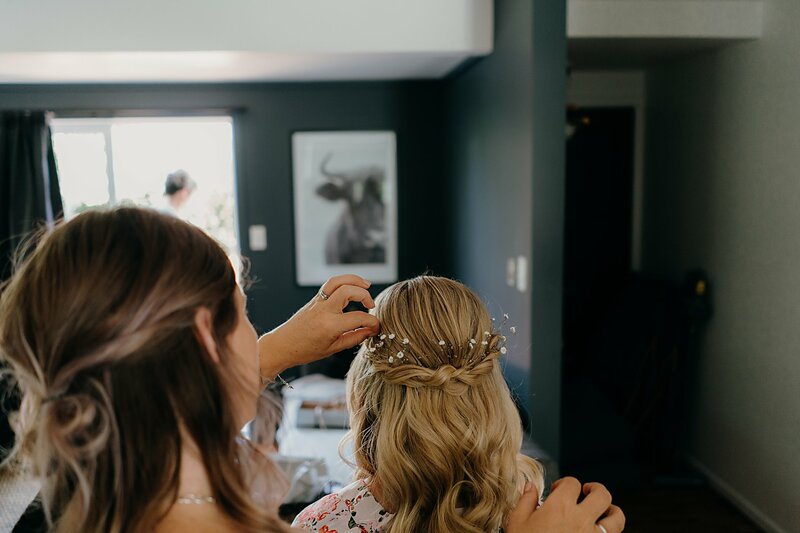 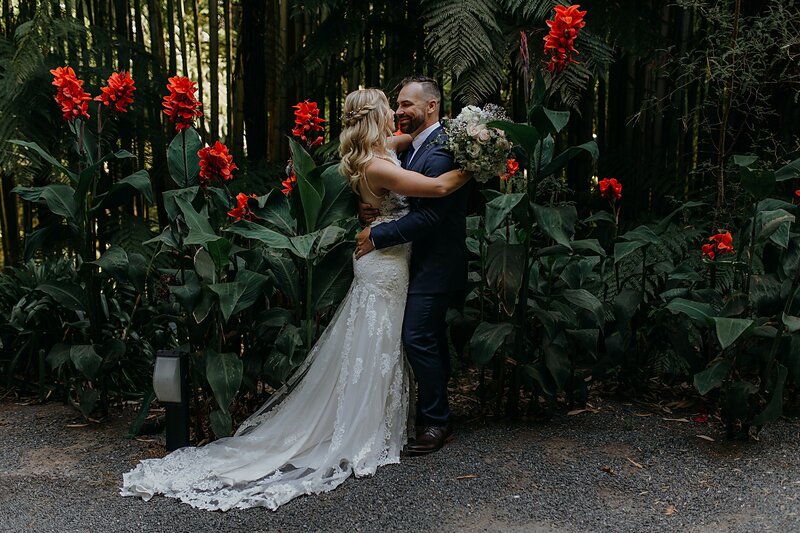 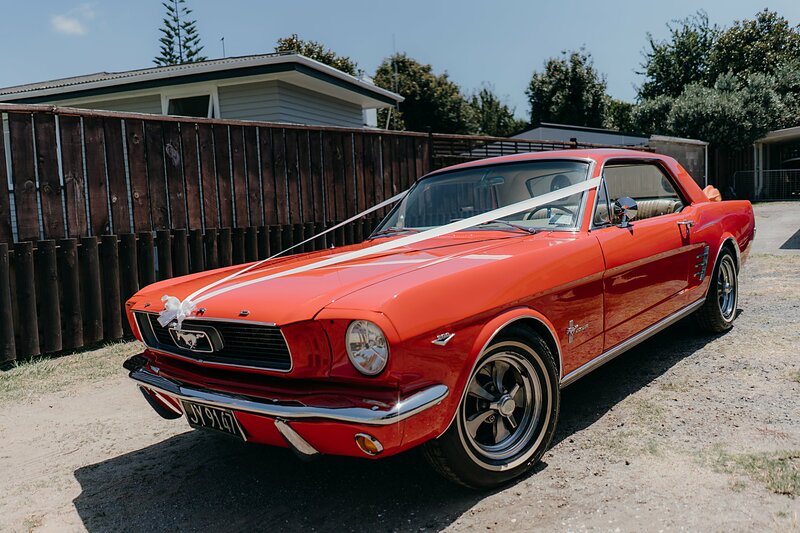 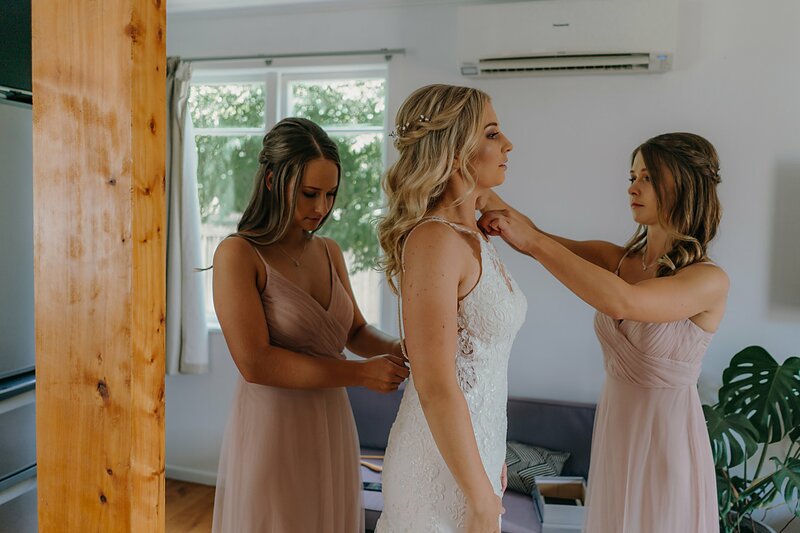 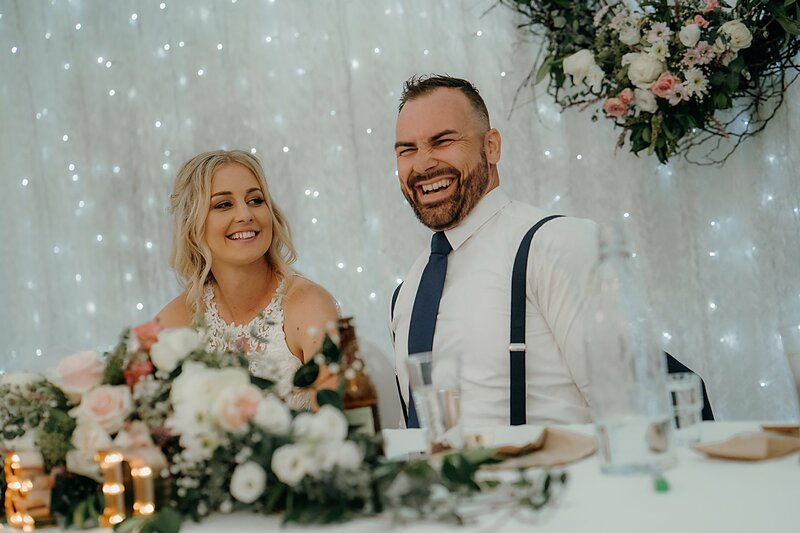 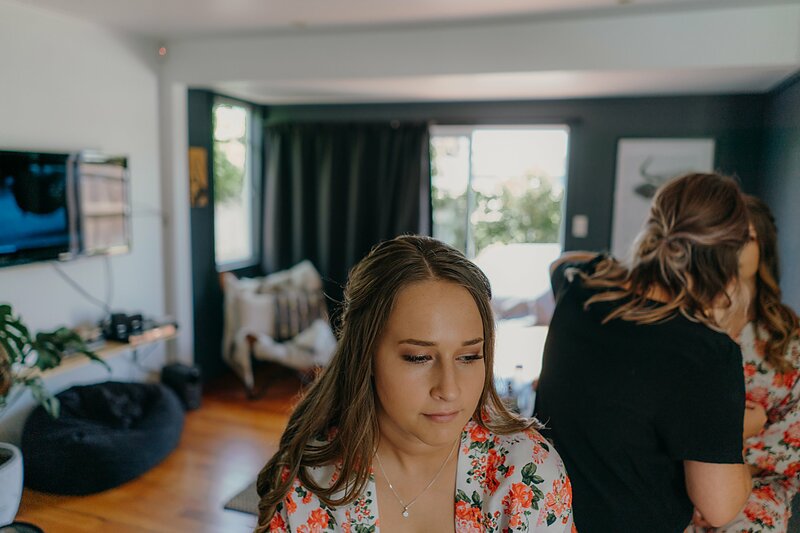 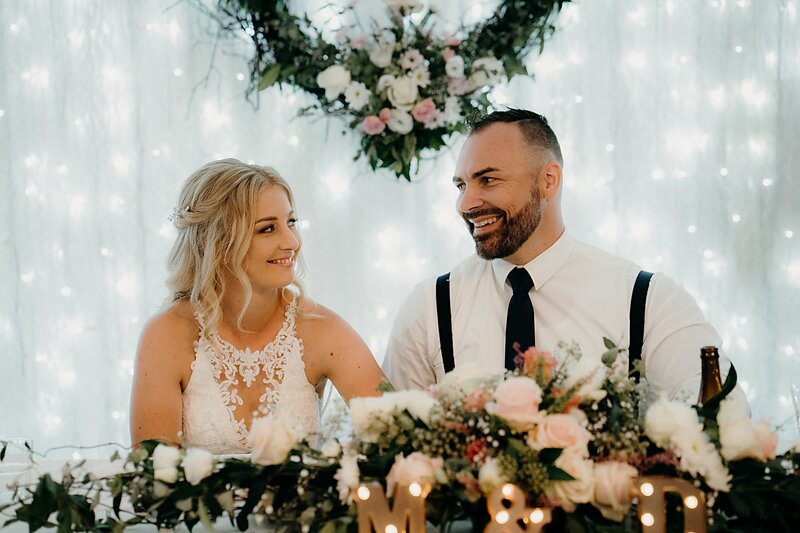 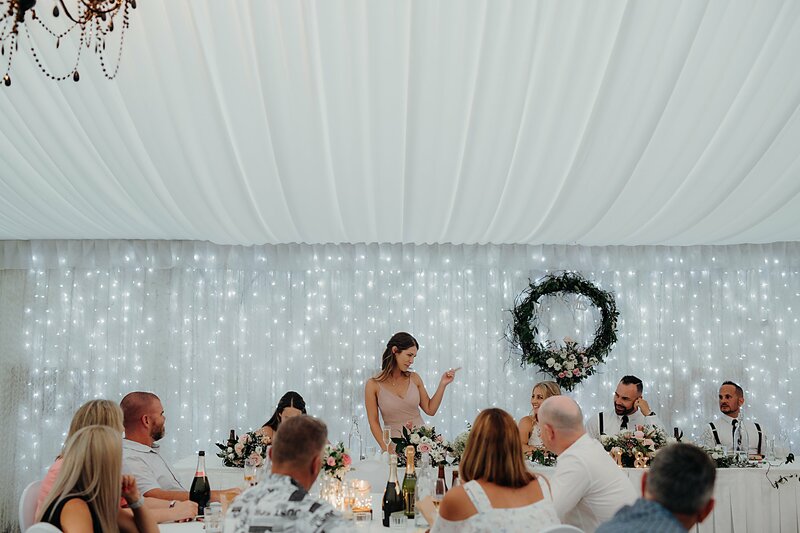 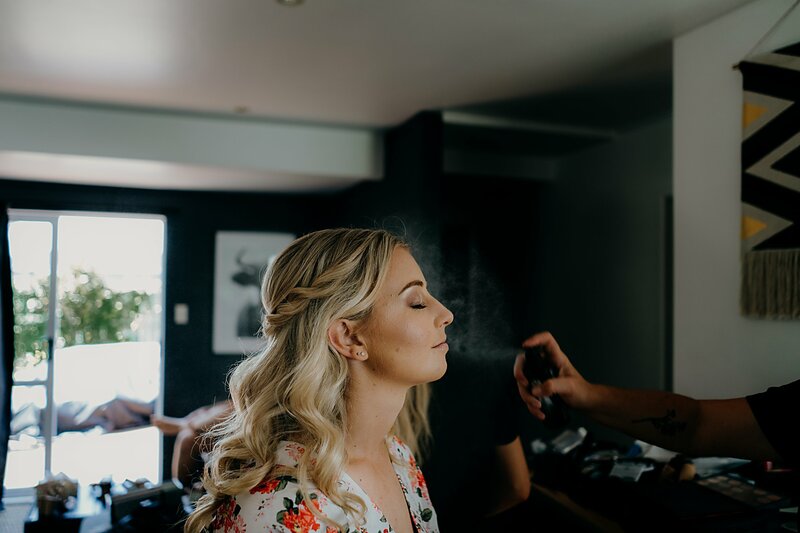 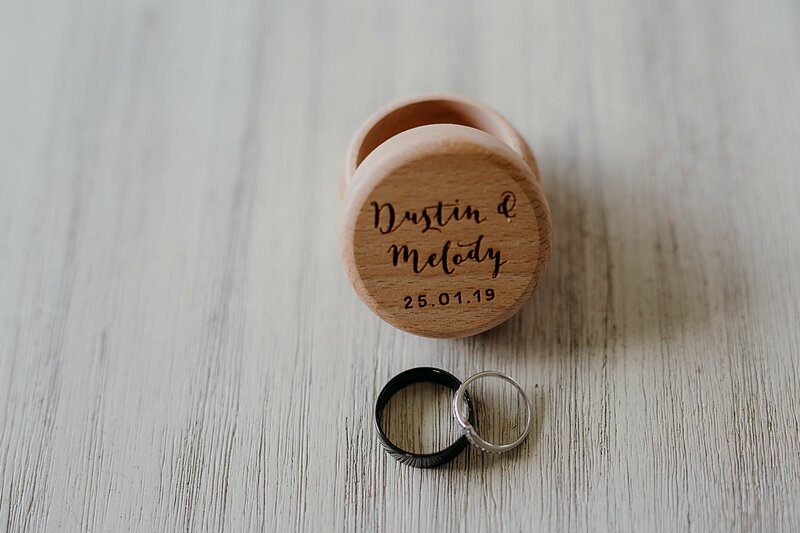 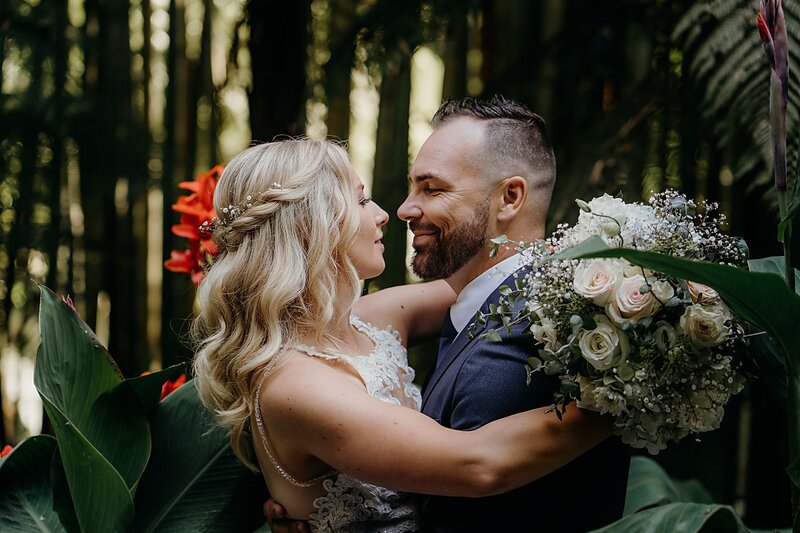 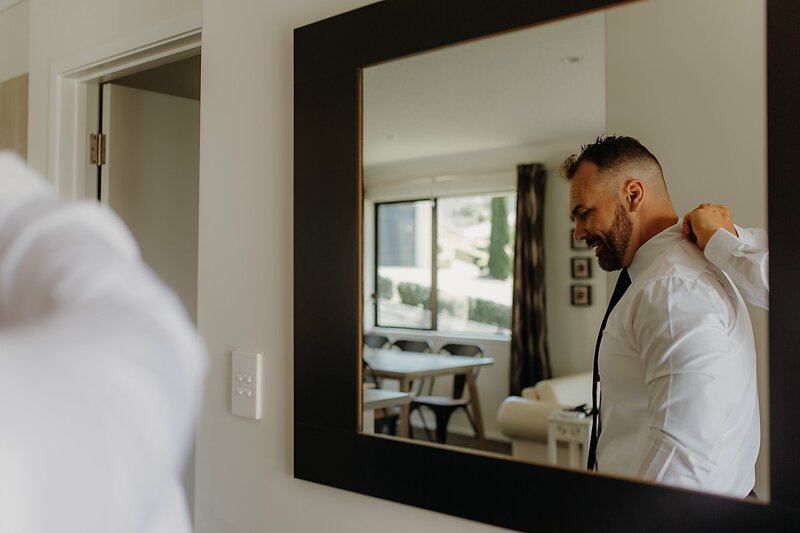 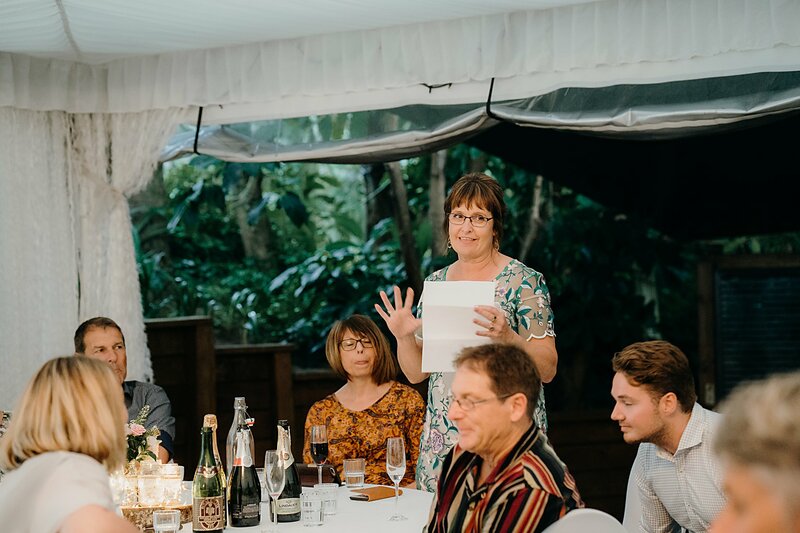 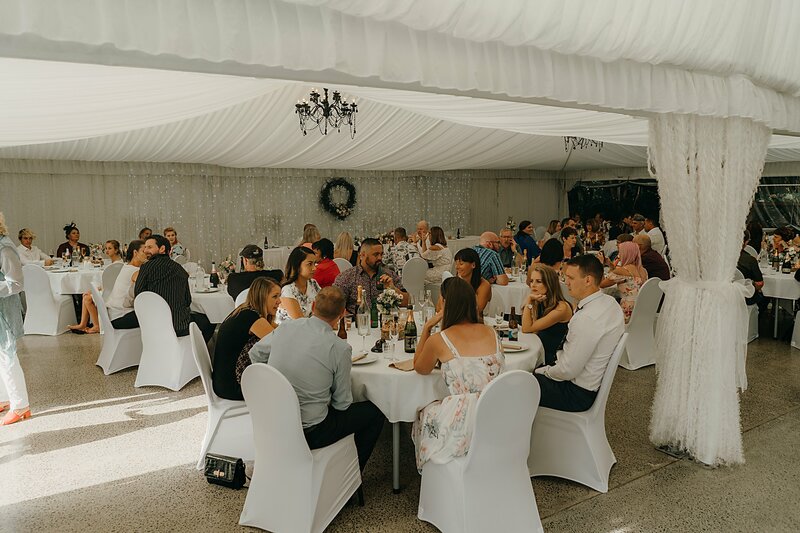 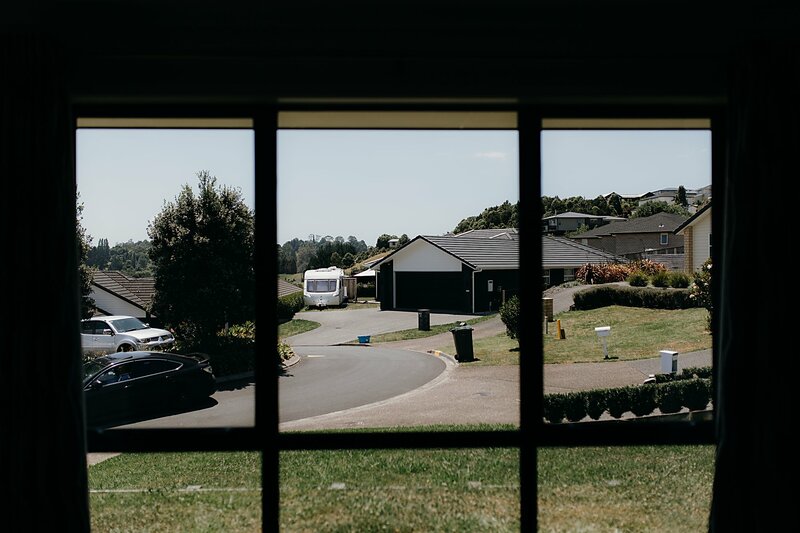 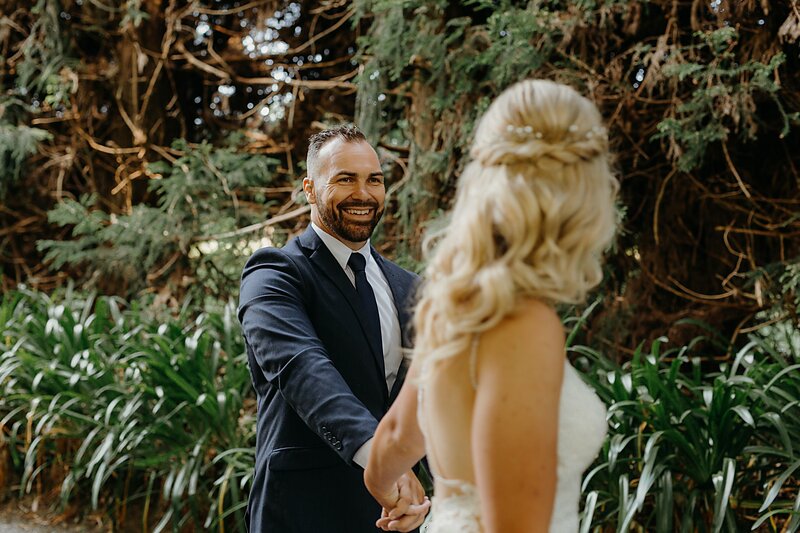 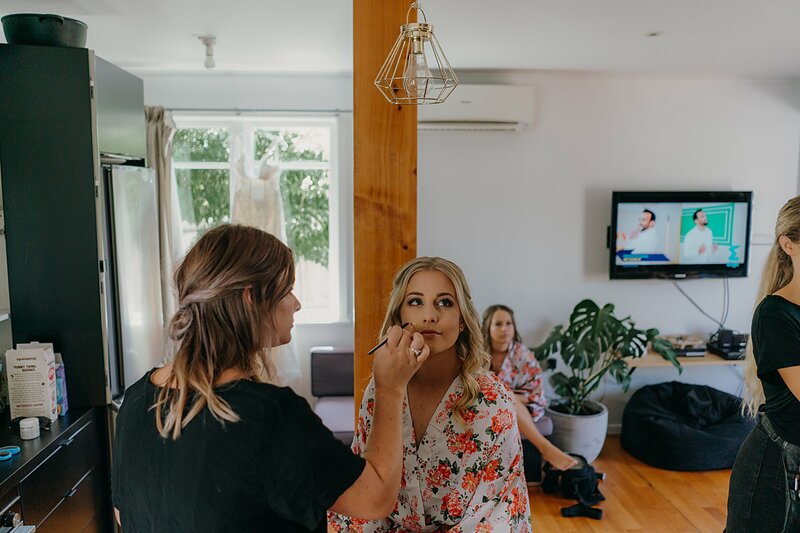 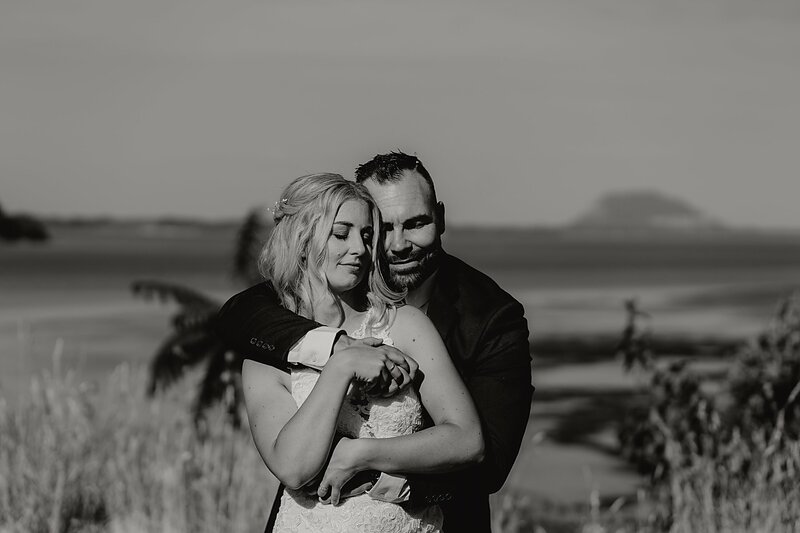 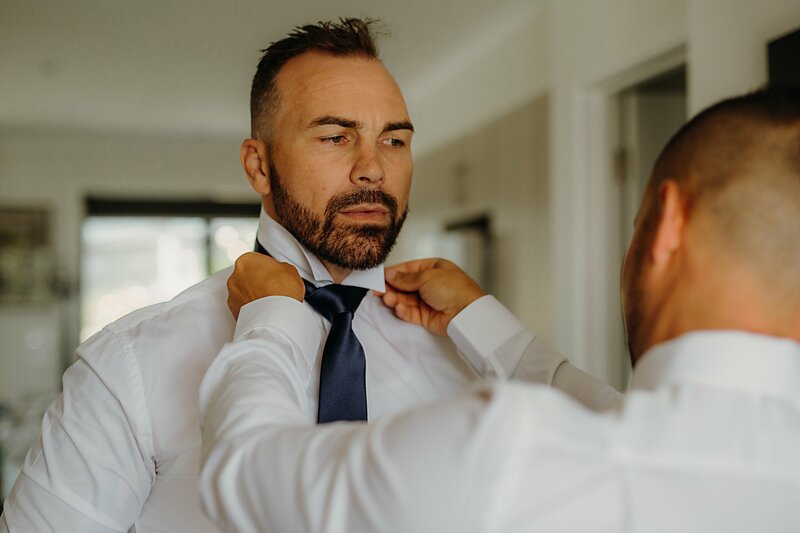 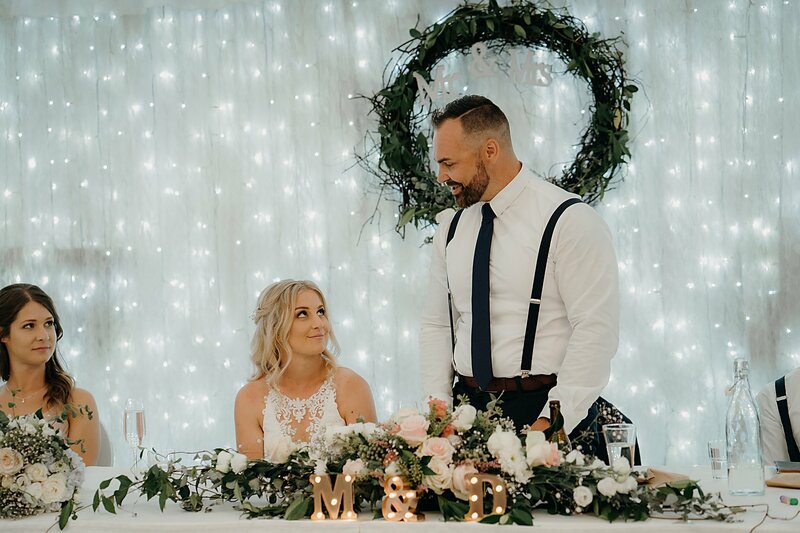 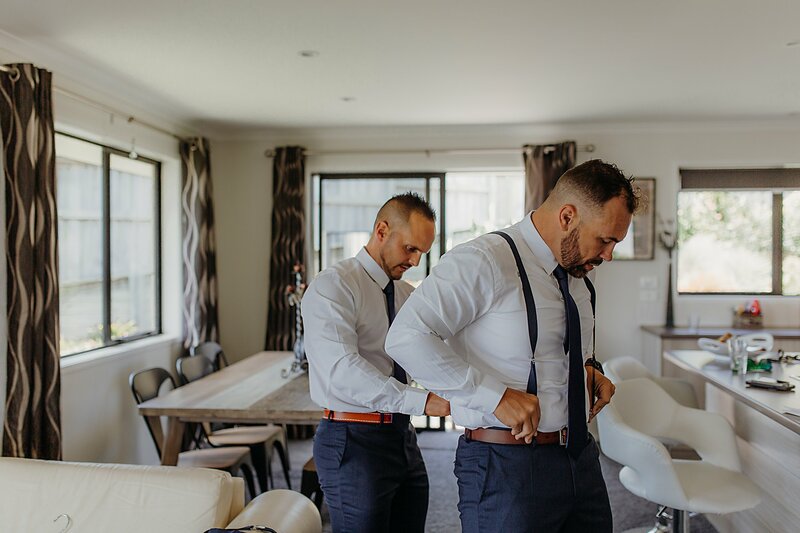 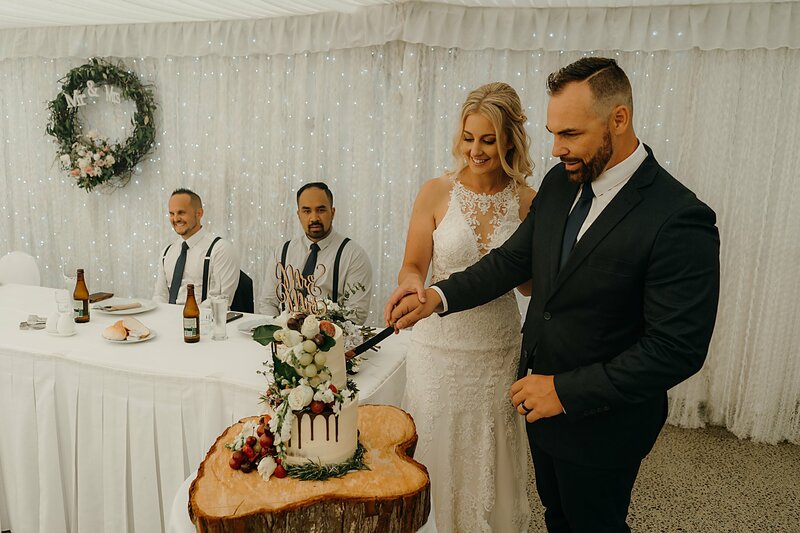 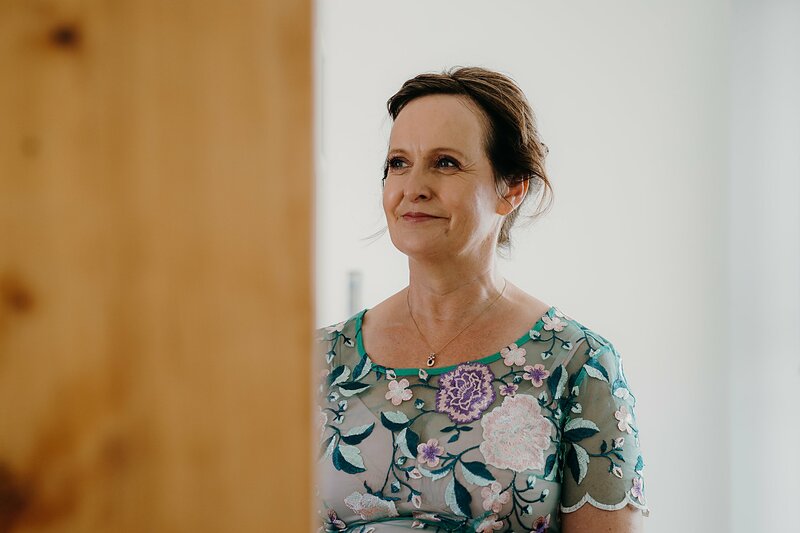 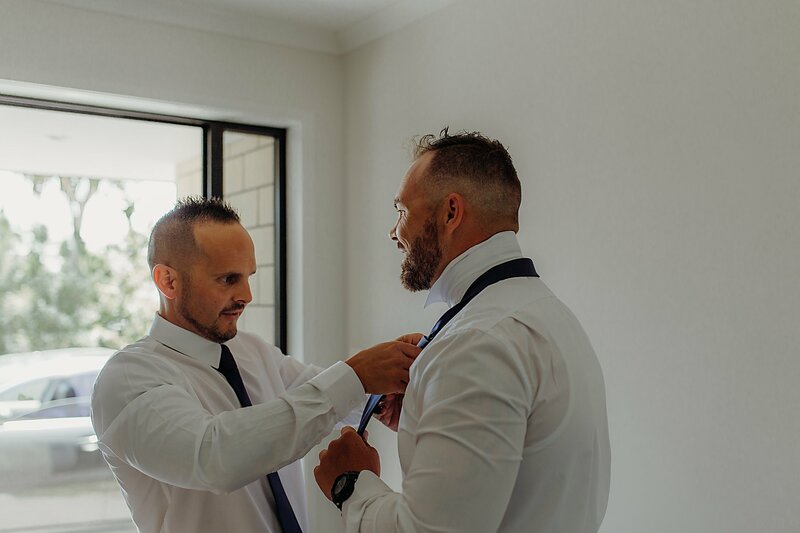 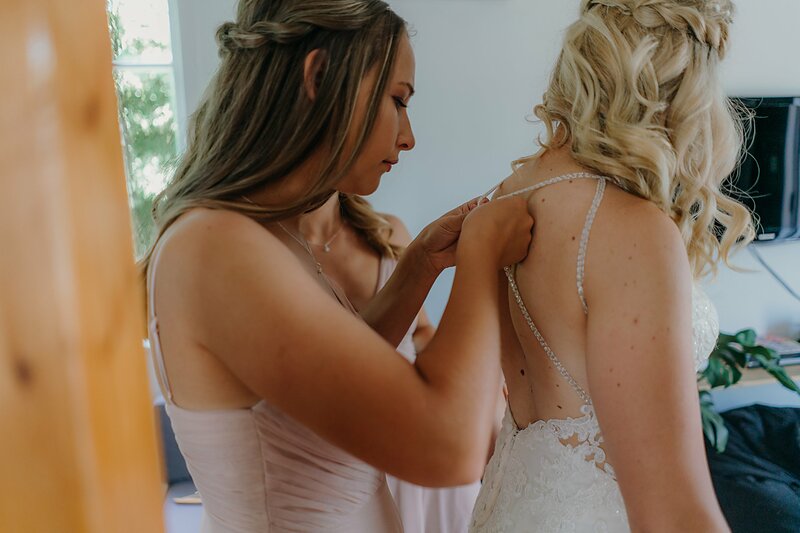 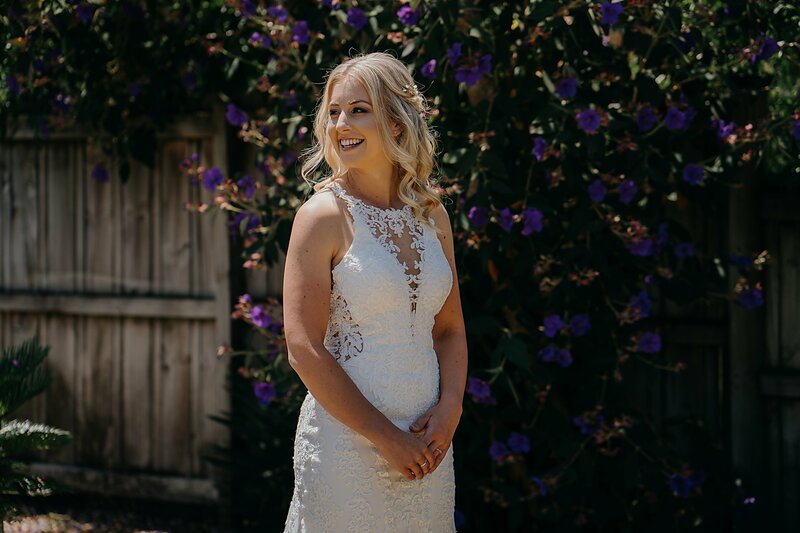 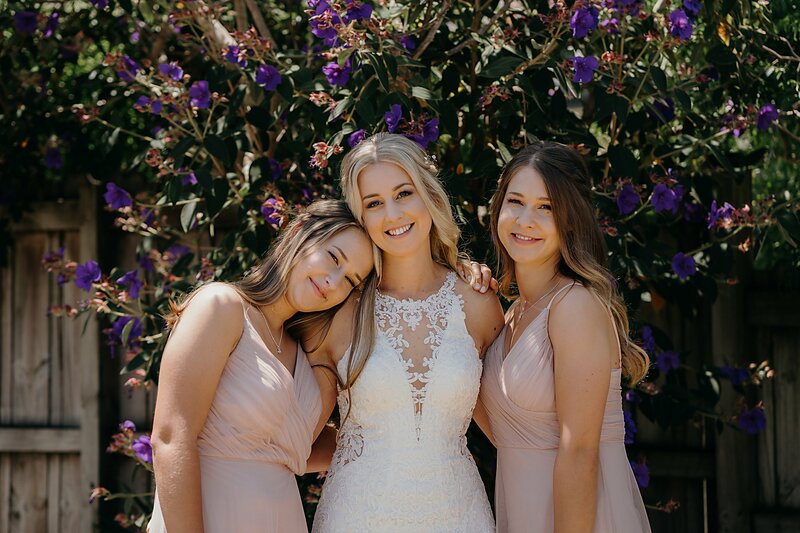 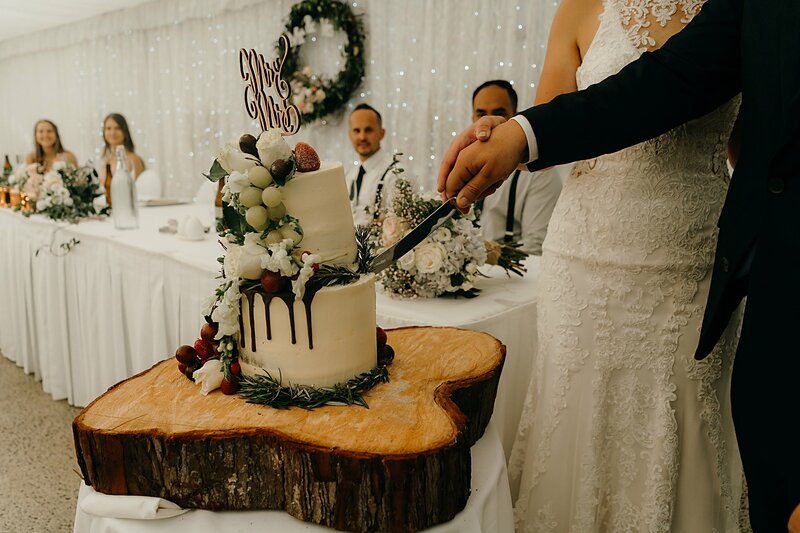 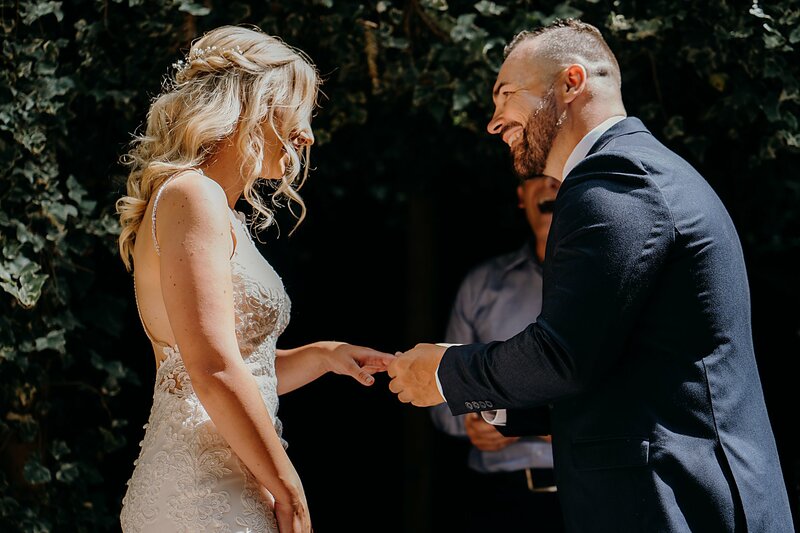 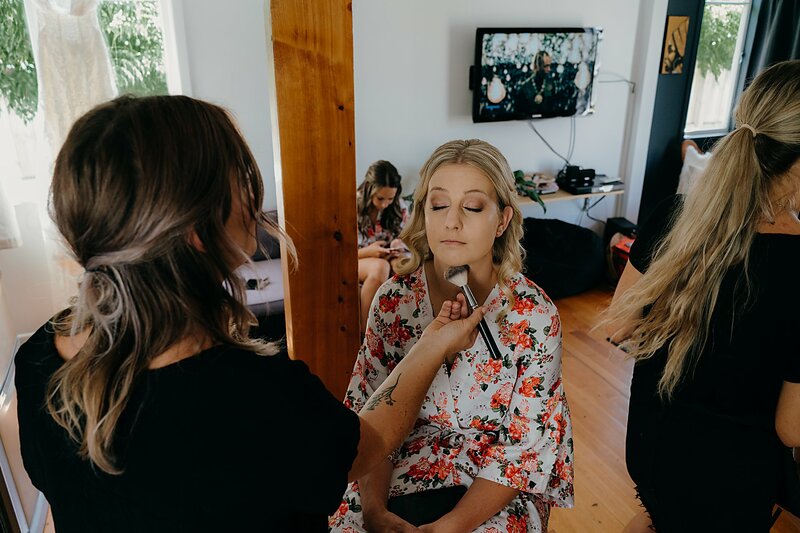 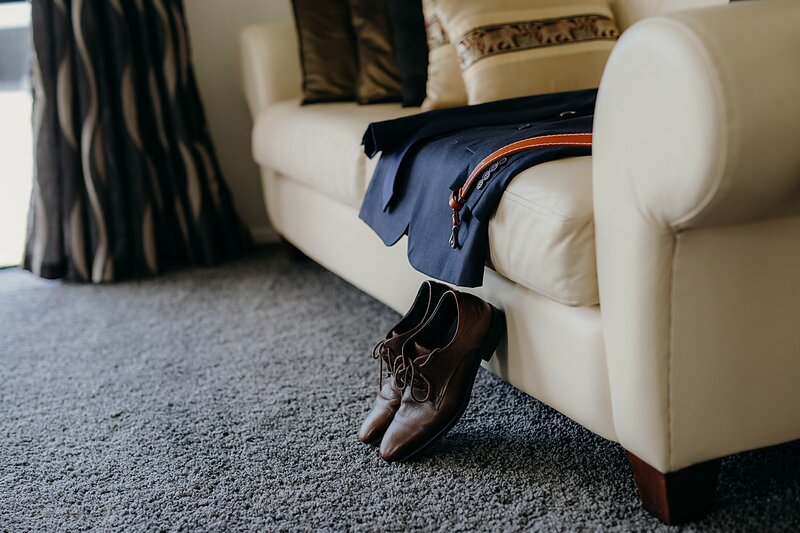 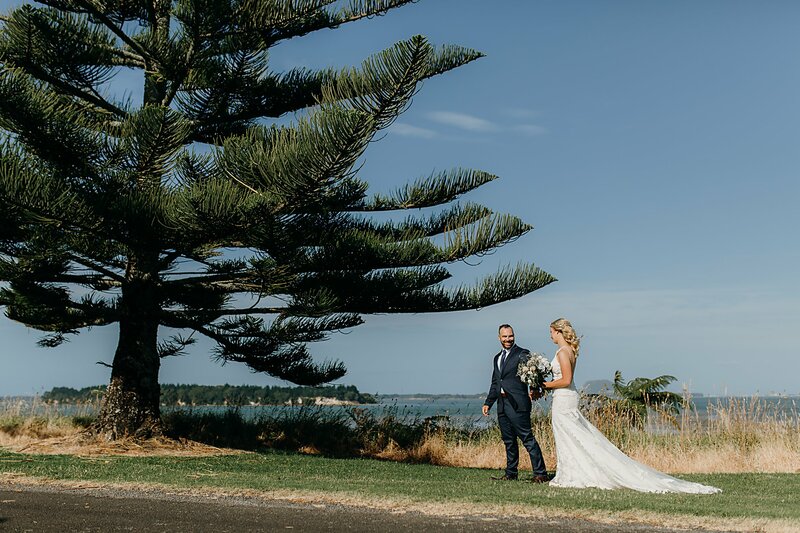 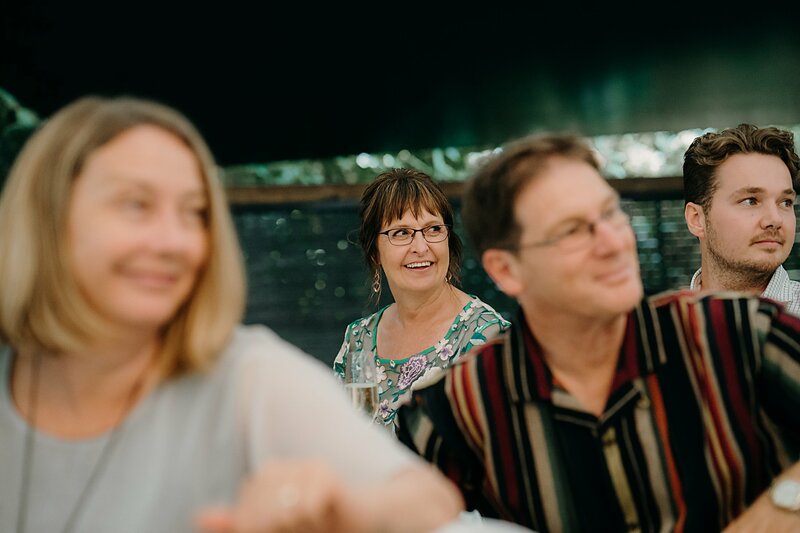 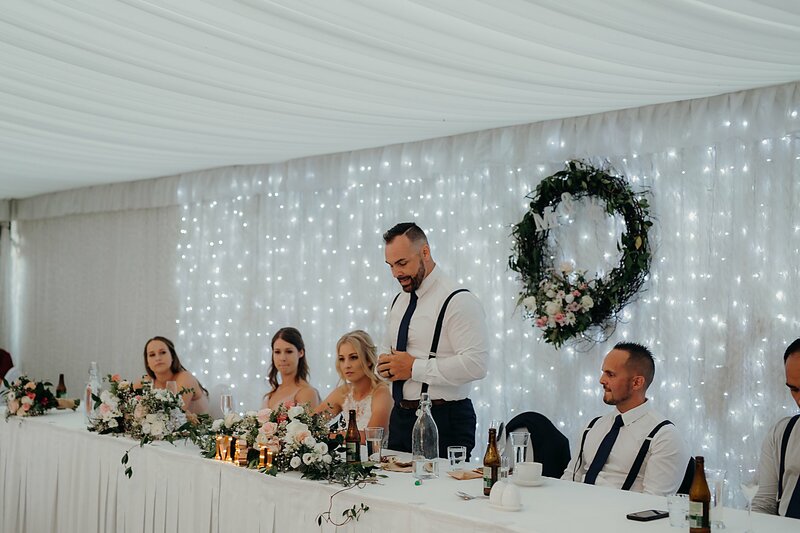 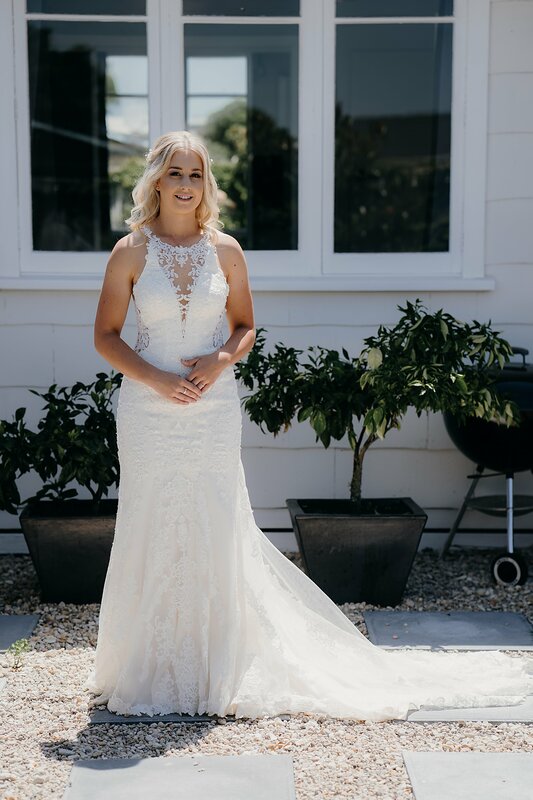 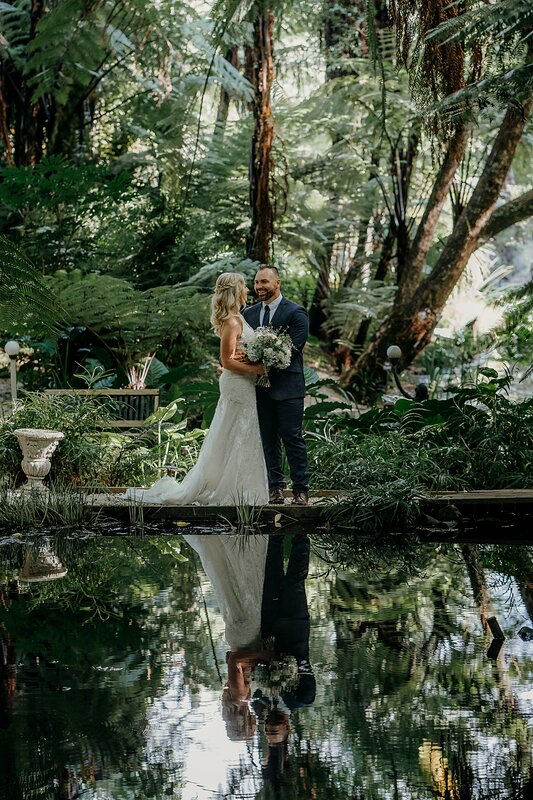 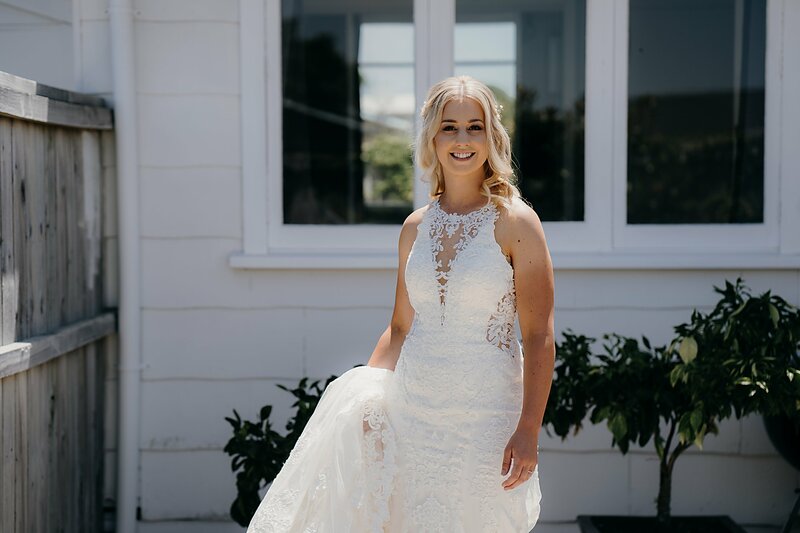 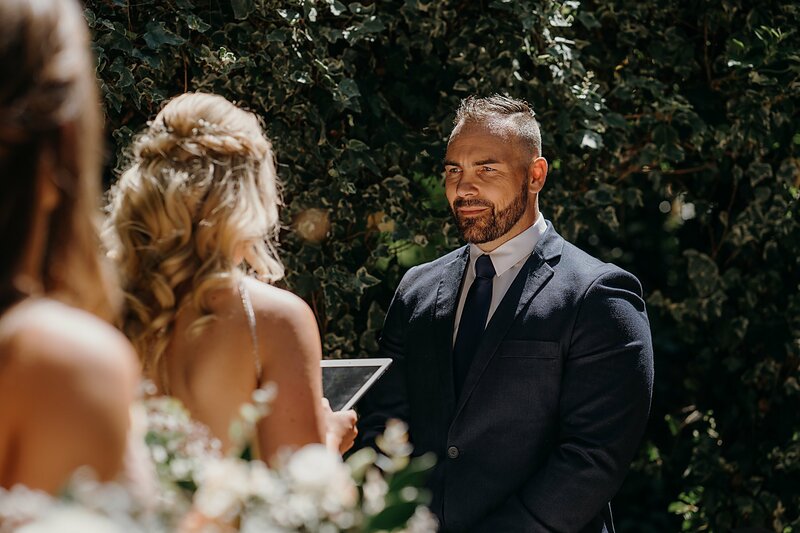 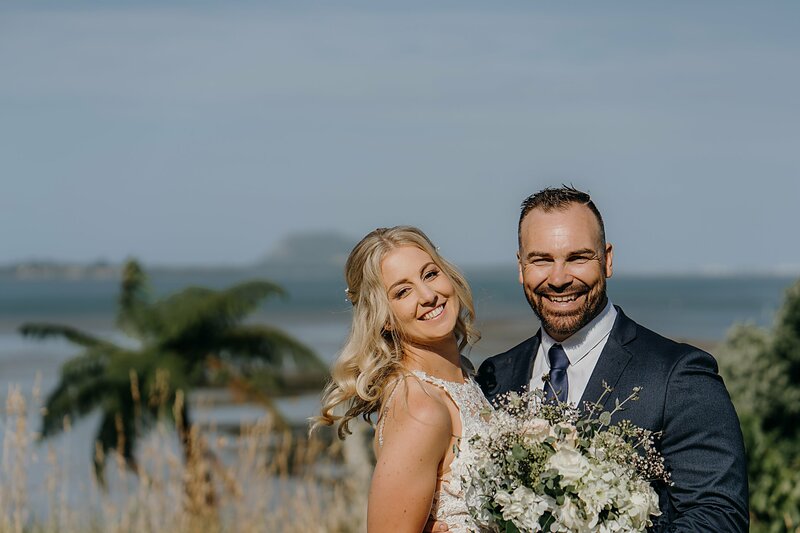 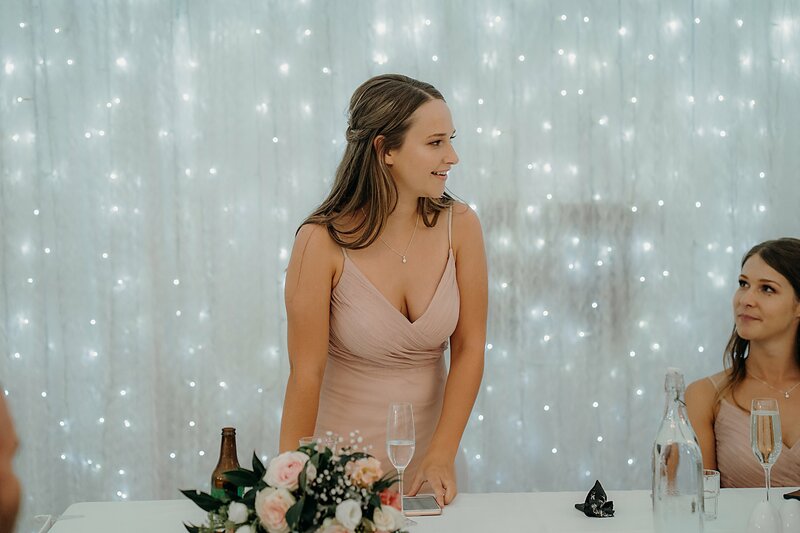 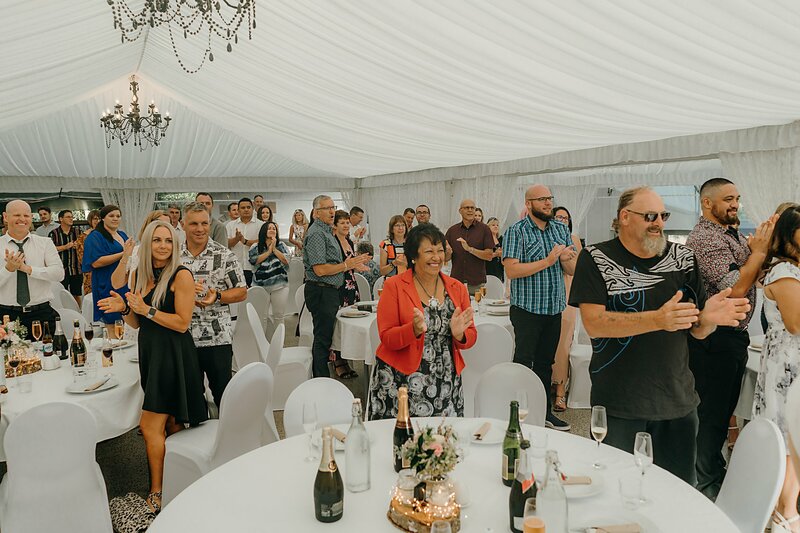 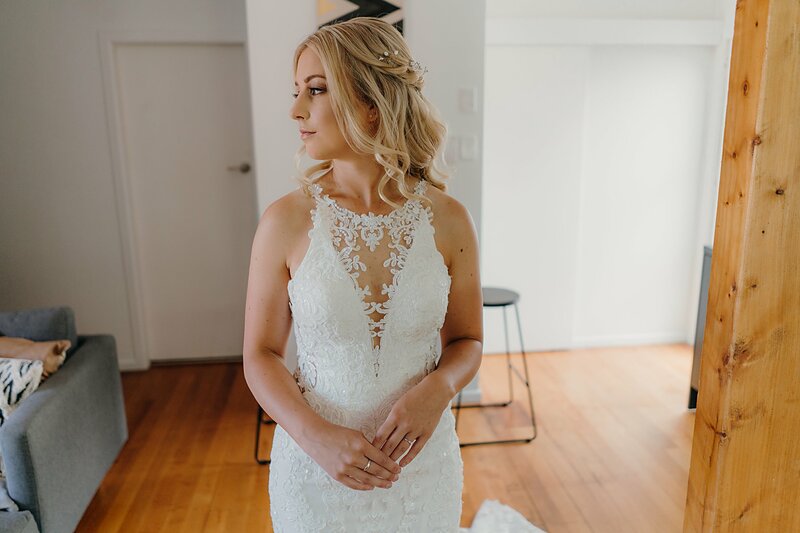 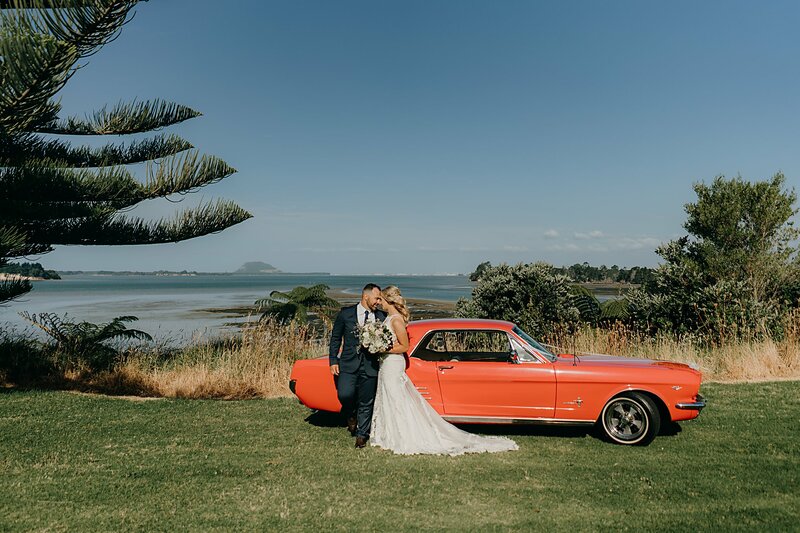 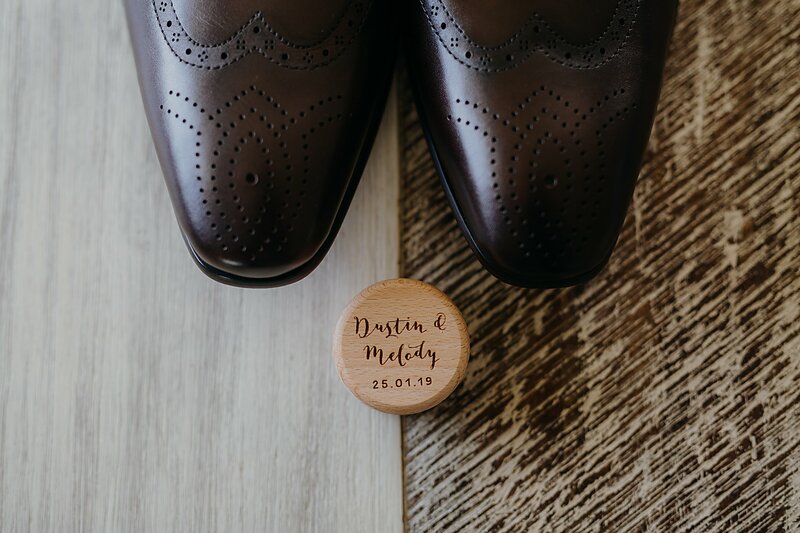 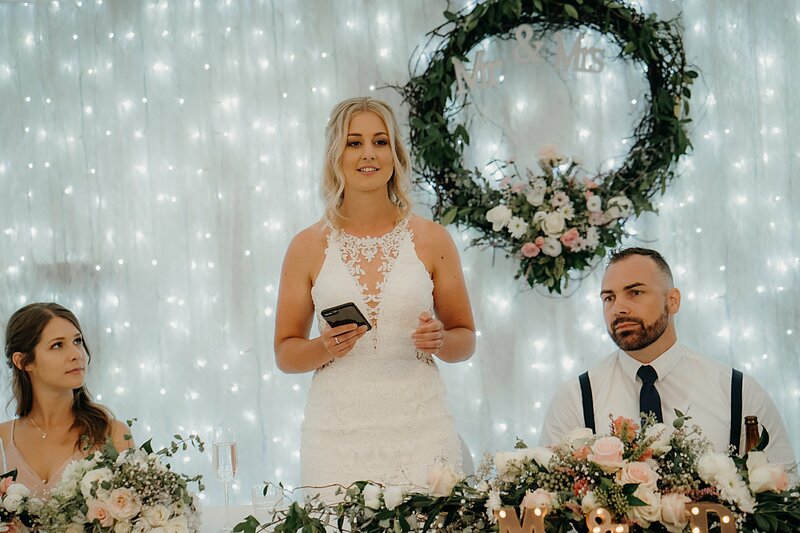 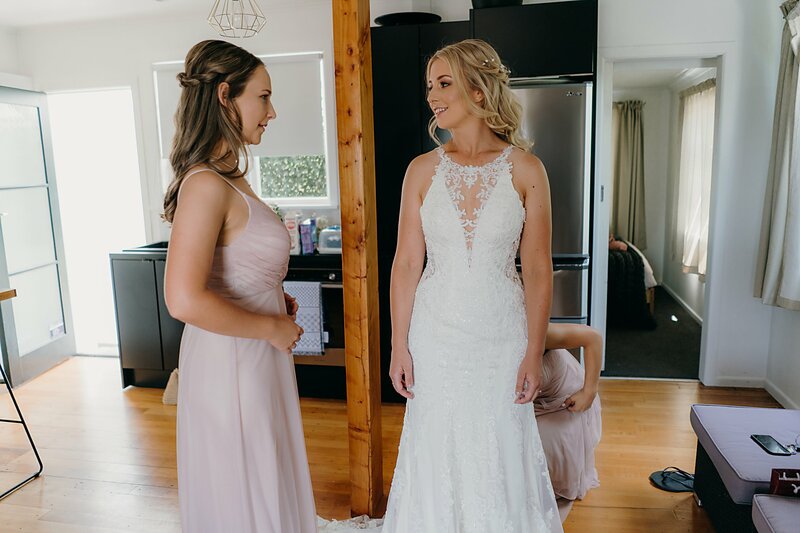 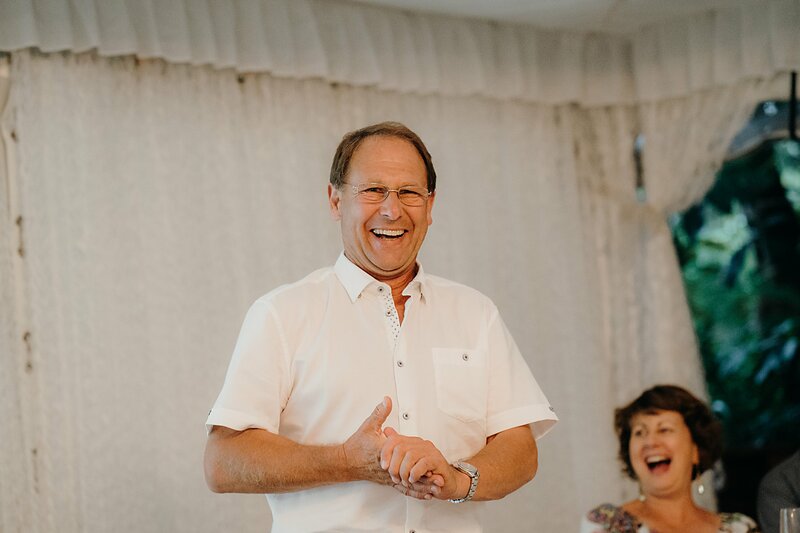 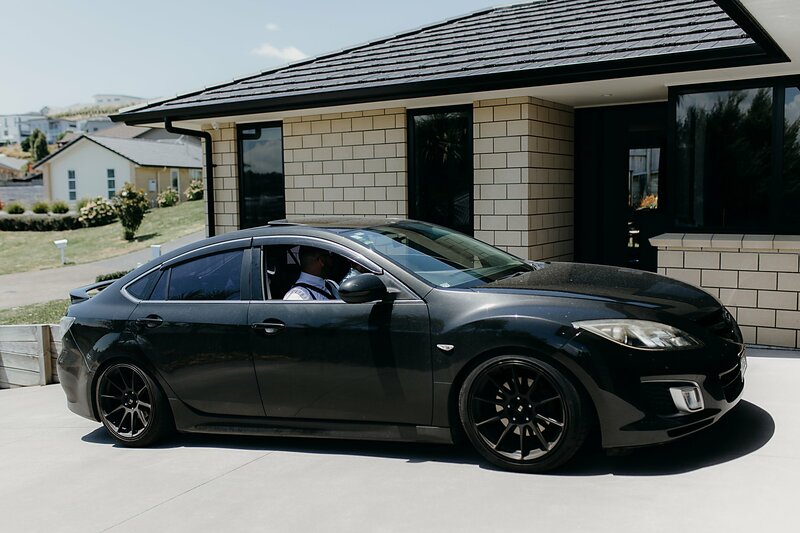 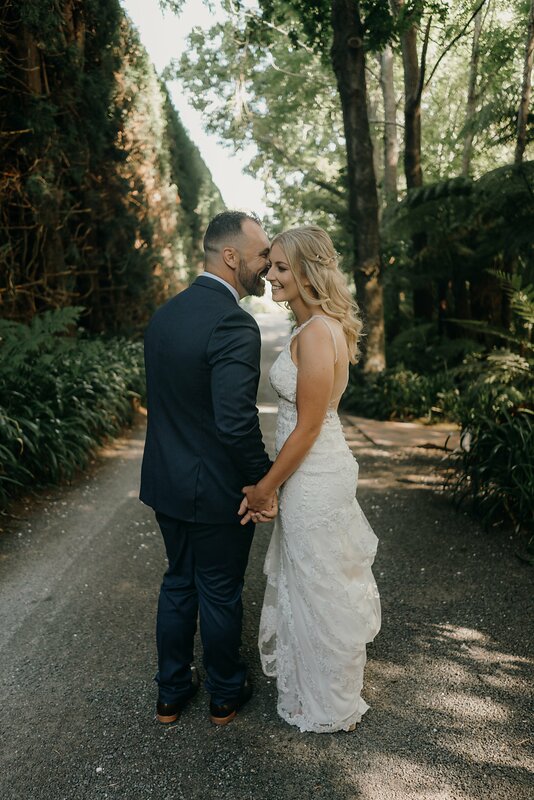 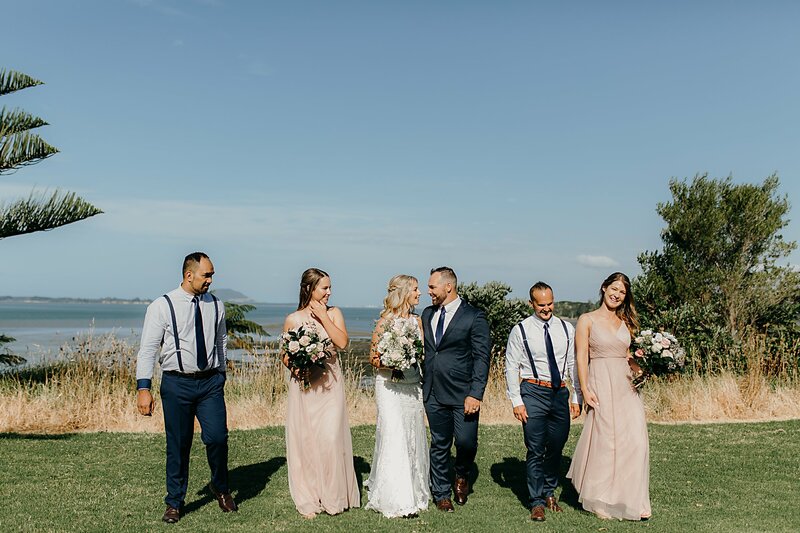 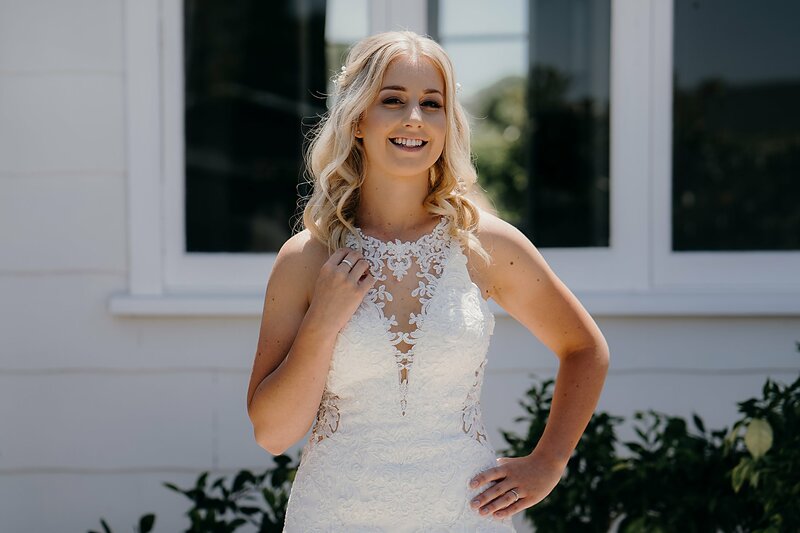 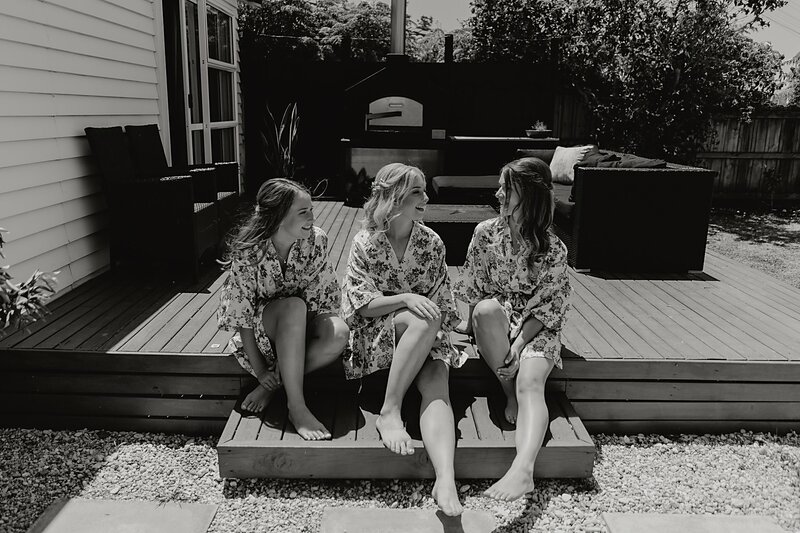 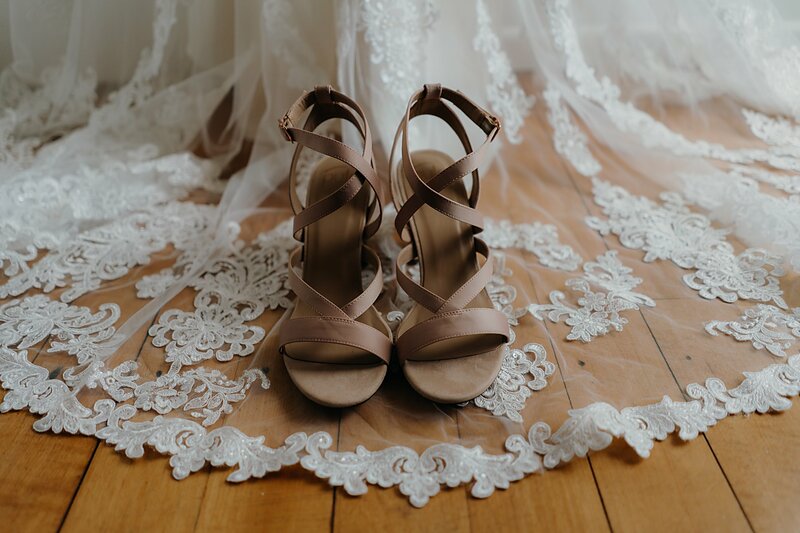 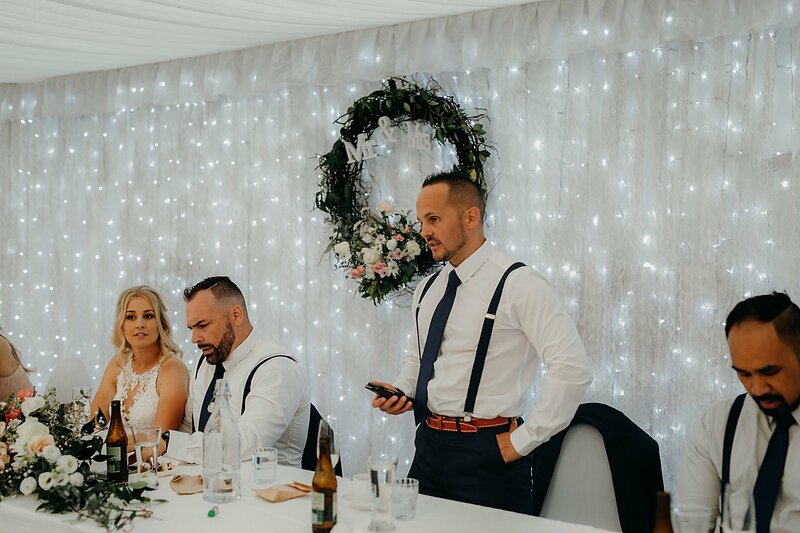 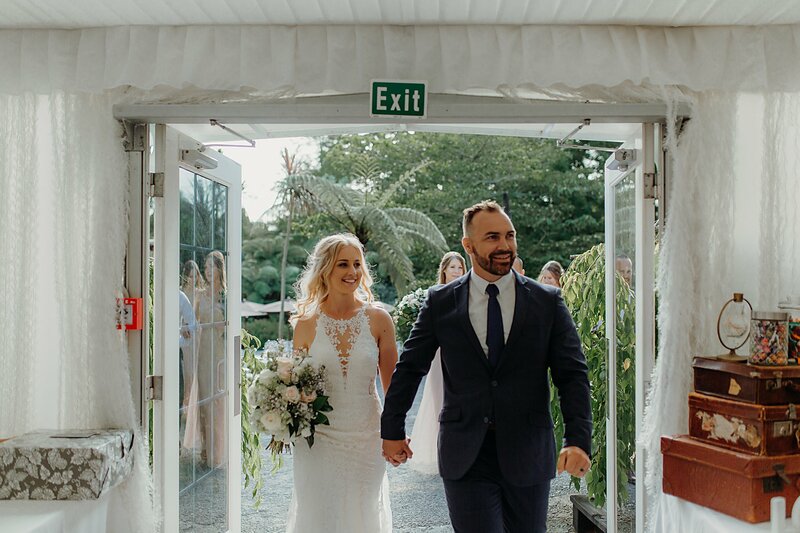 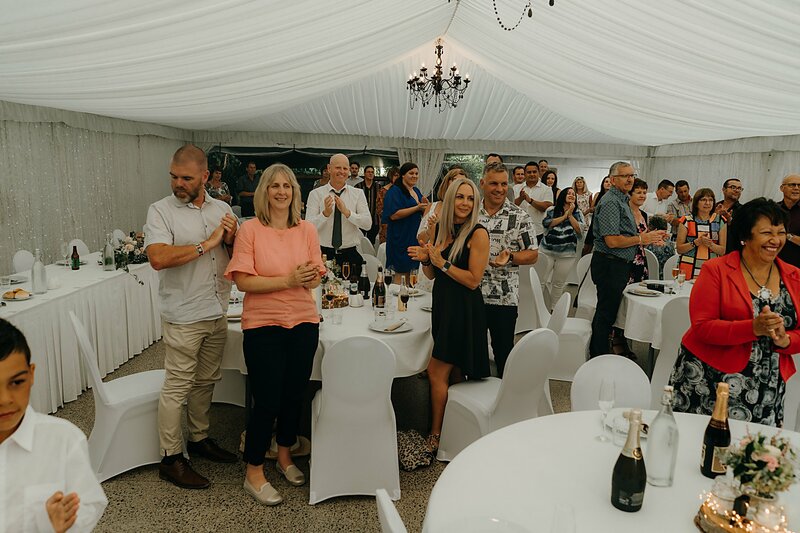 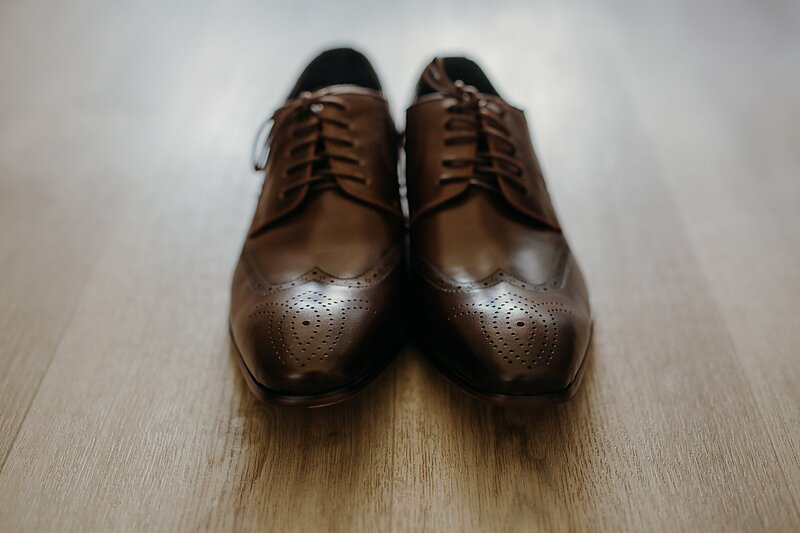 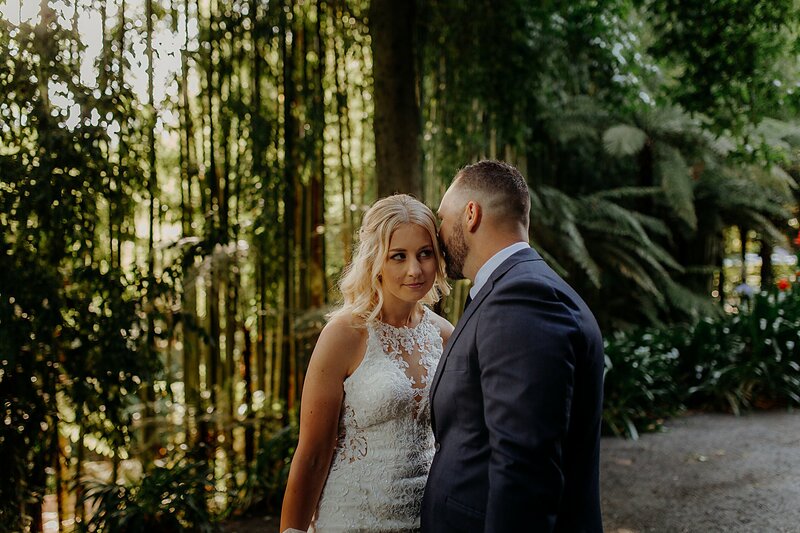 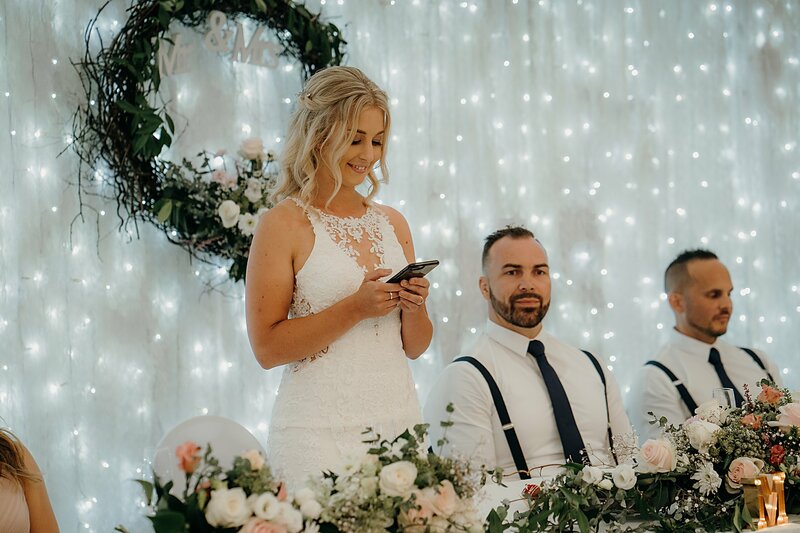 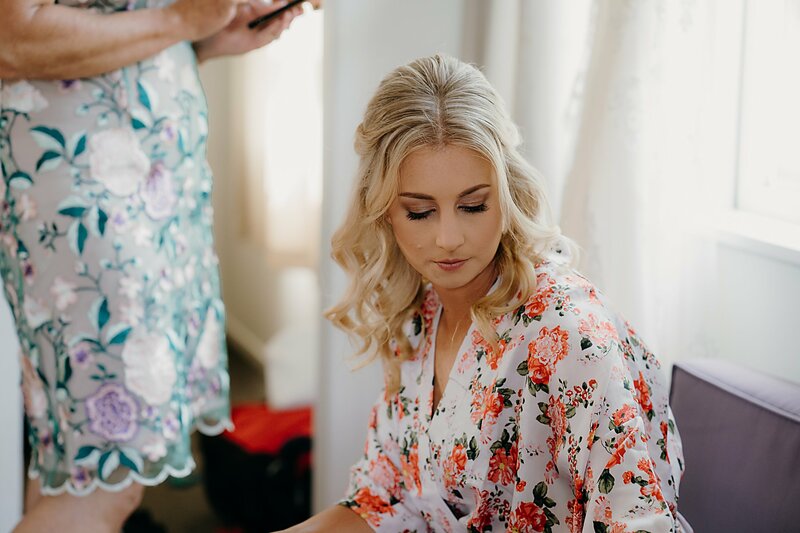 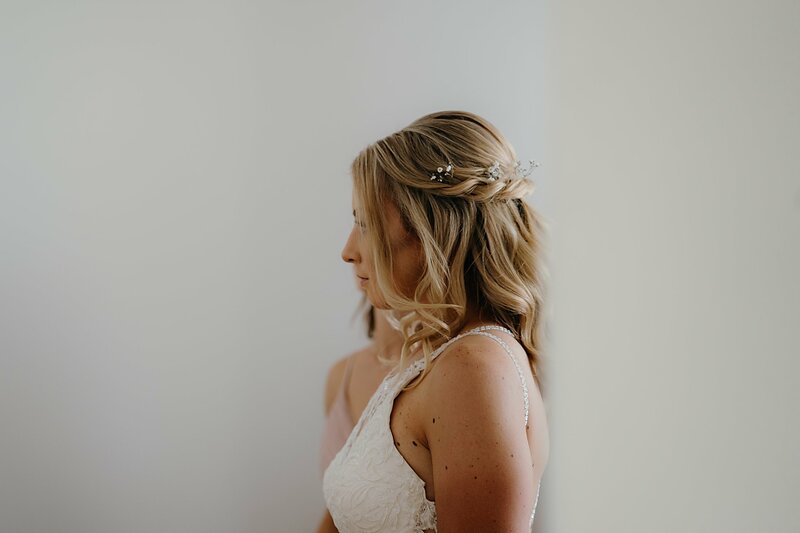 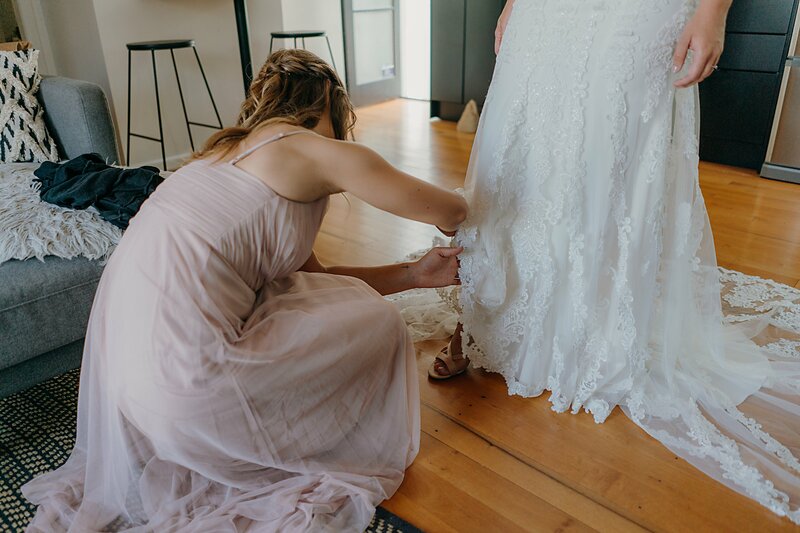 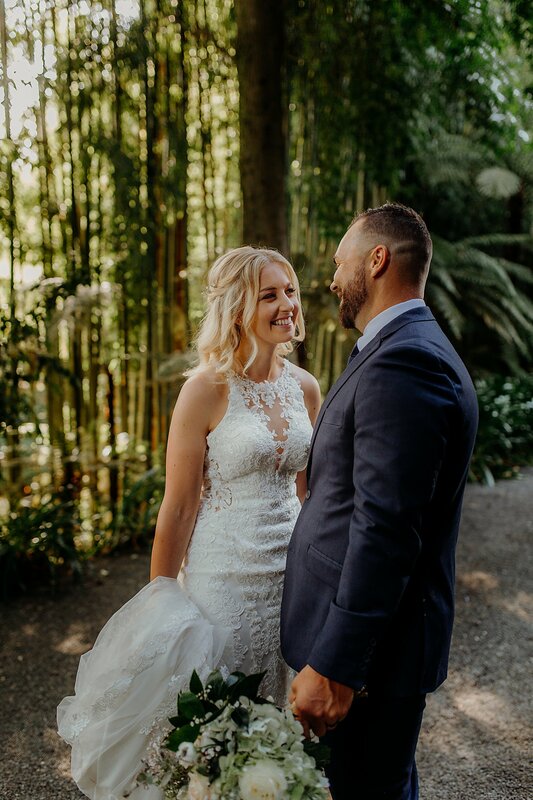 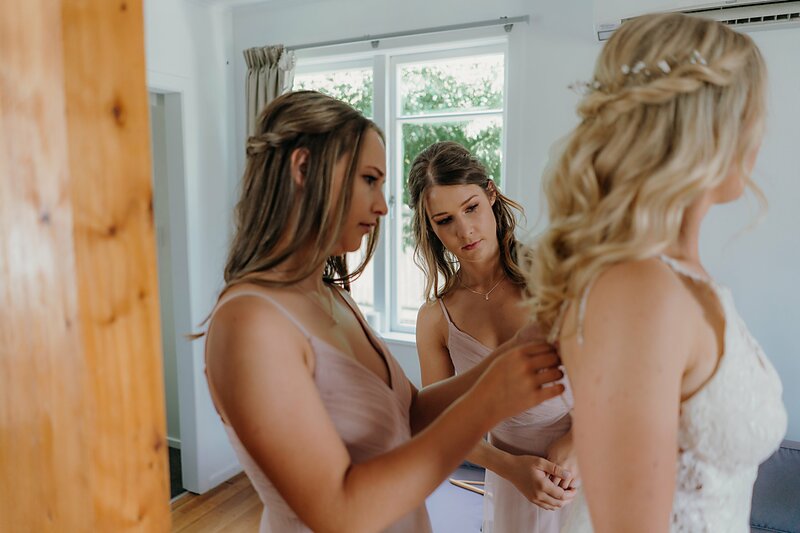 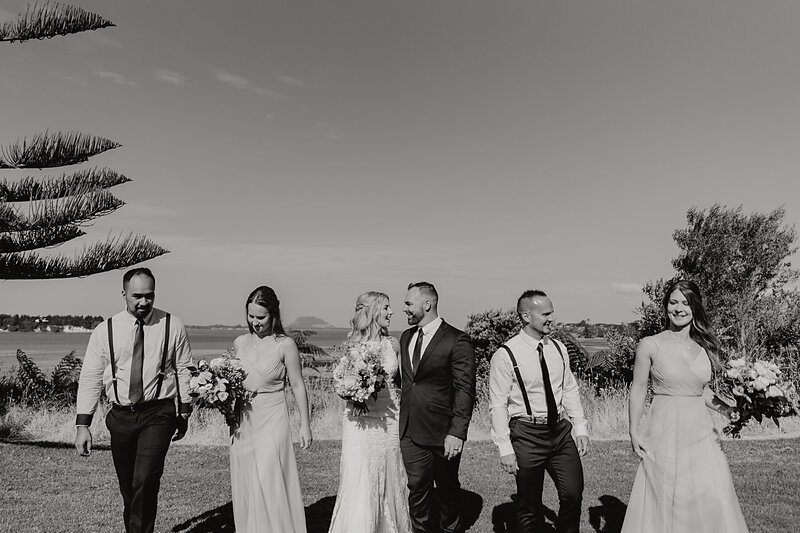 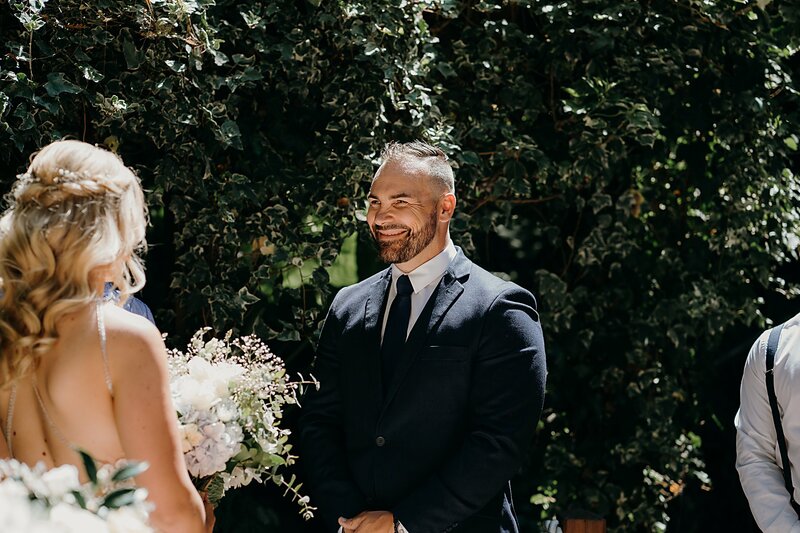 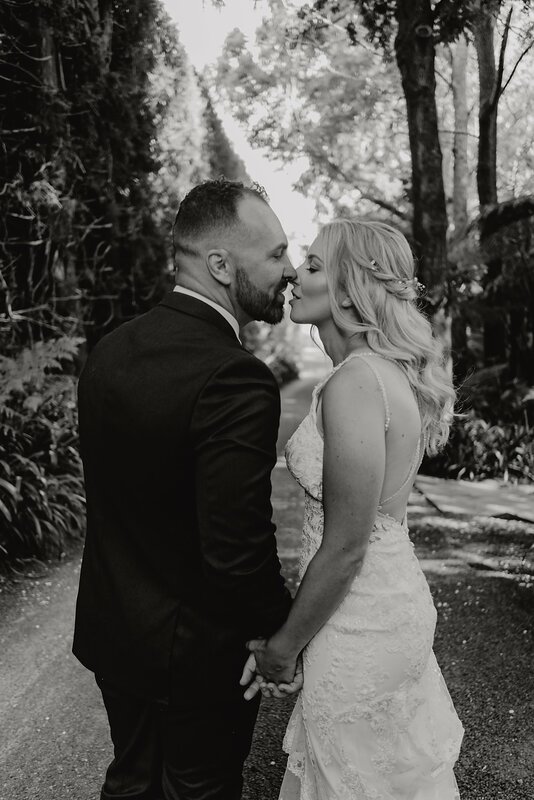 Fountain Gardens in Tauranga is a beautiful wedding venue and Dustin and Melody were lucky enough to get married there. 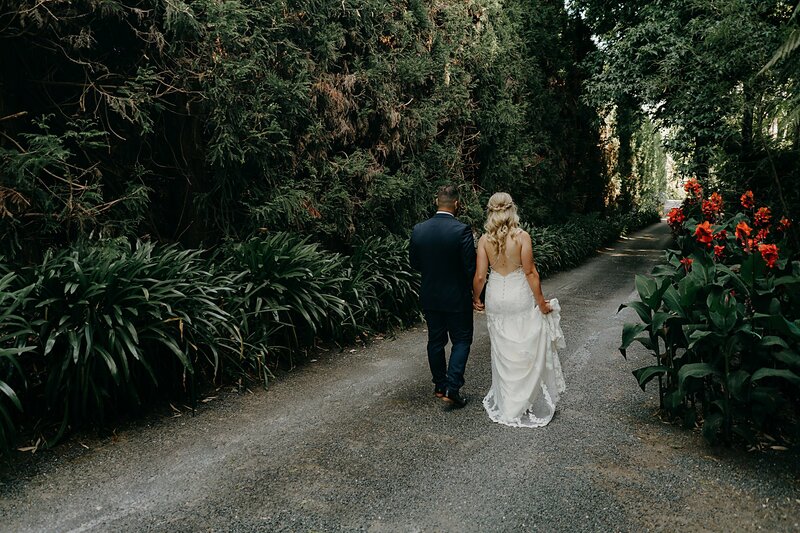 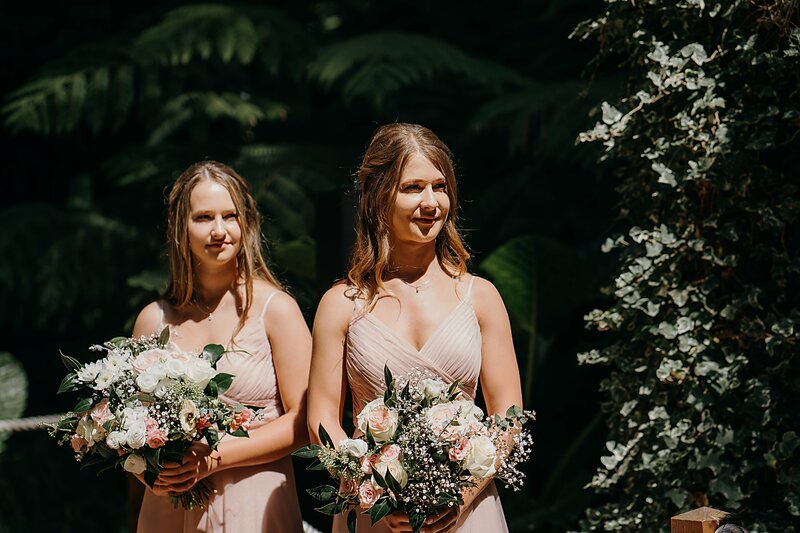 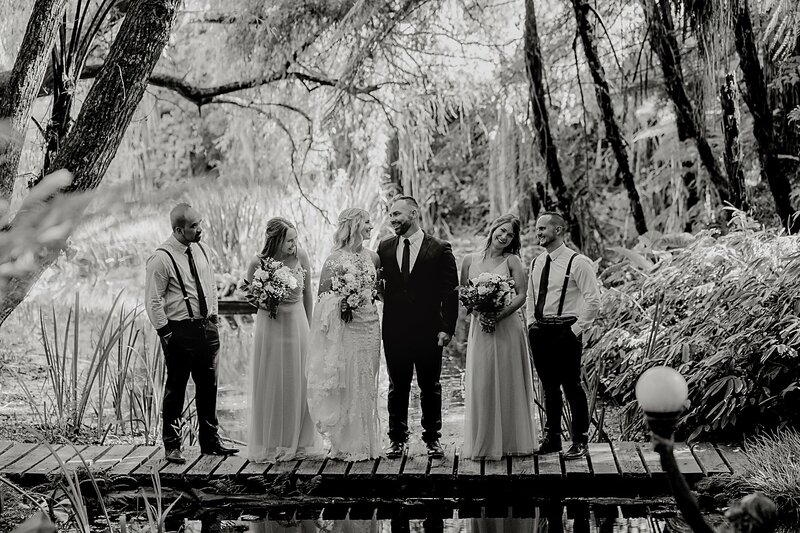 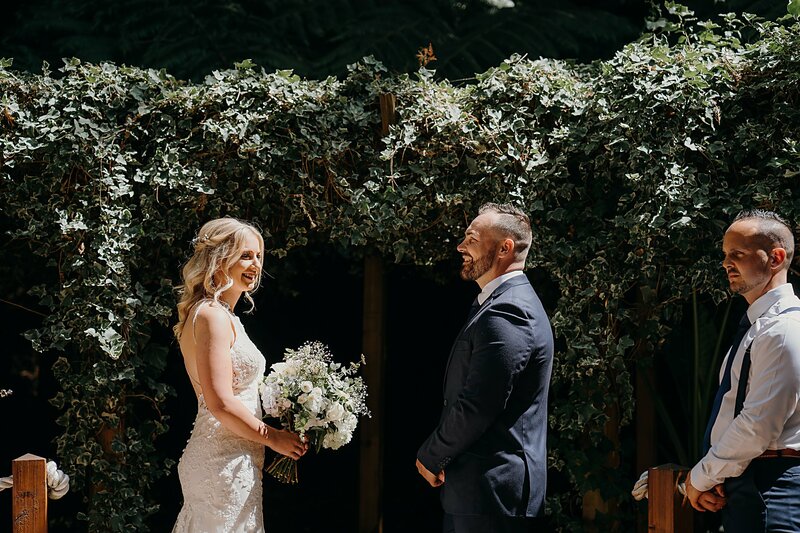 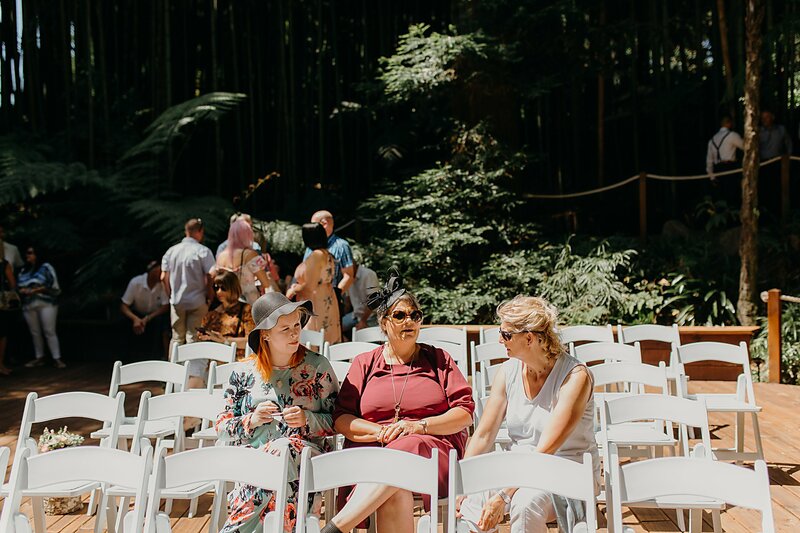 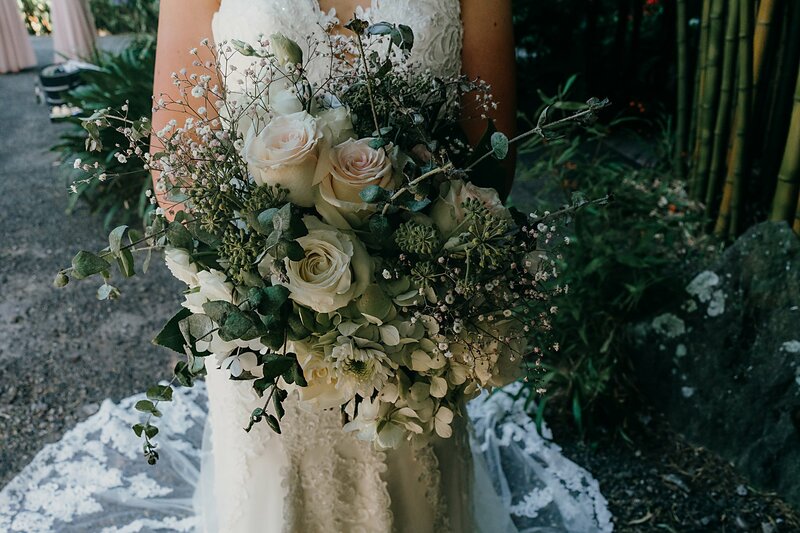 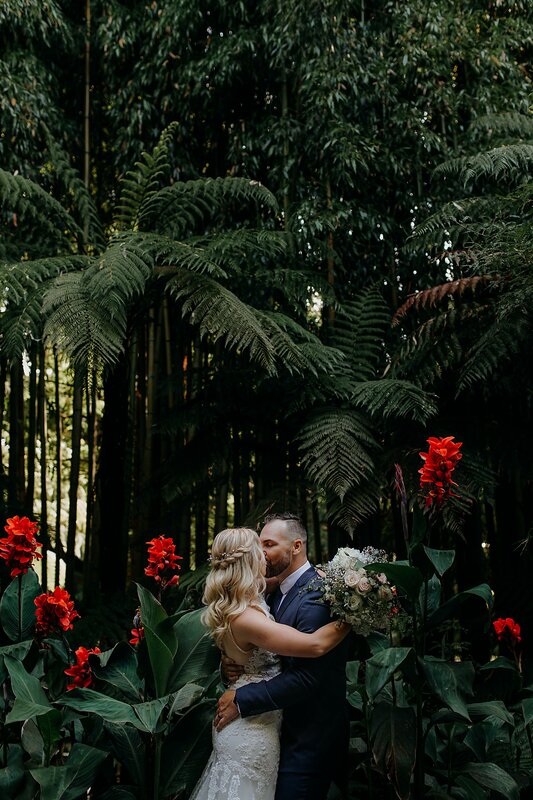 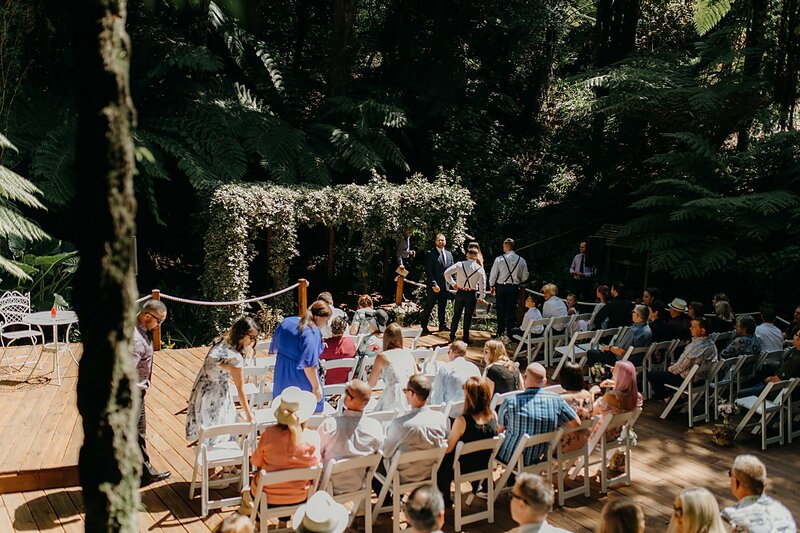 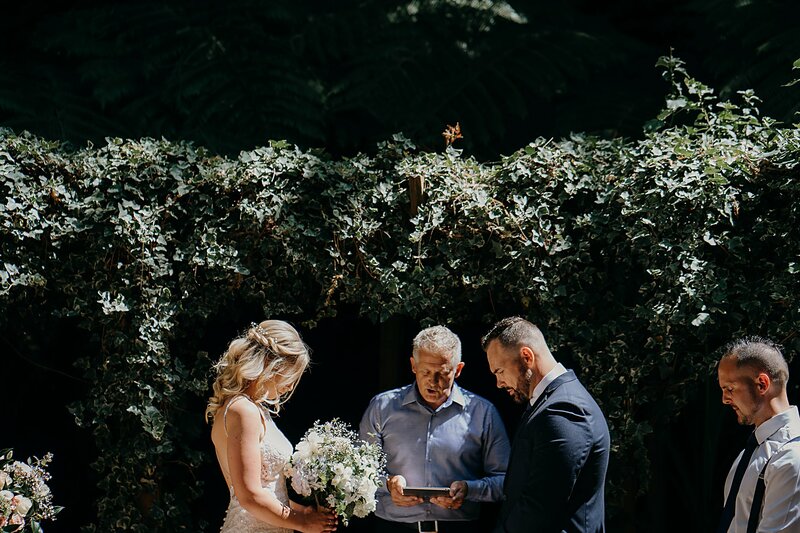 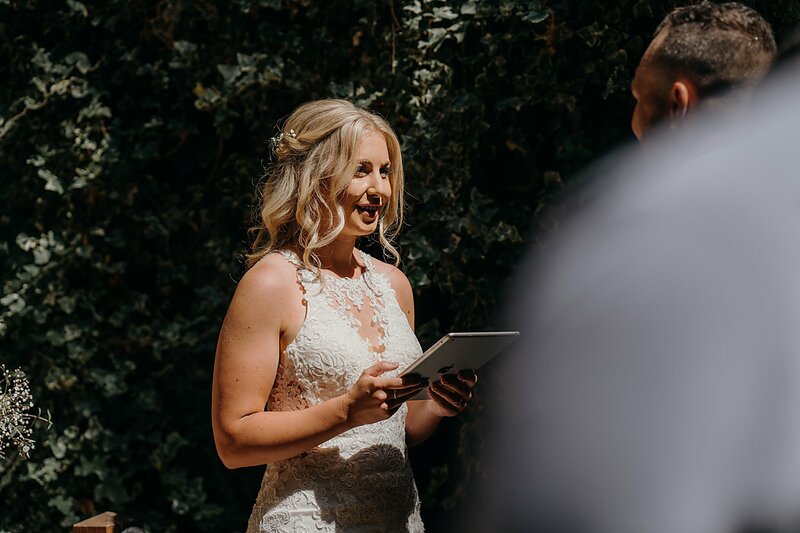 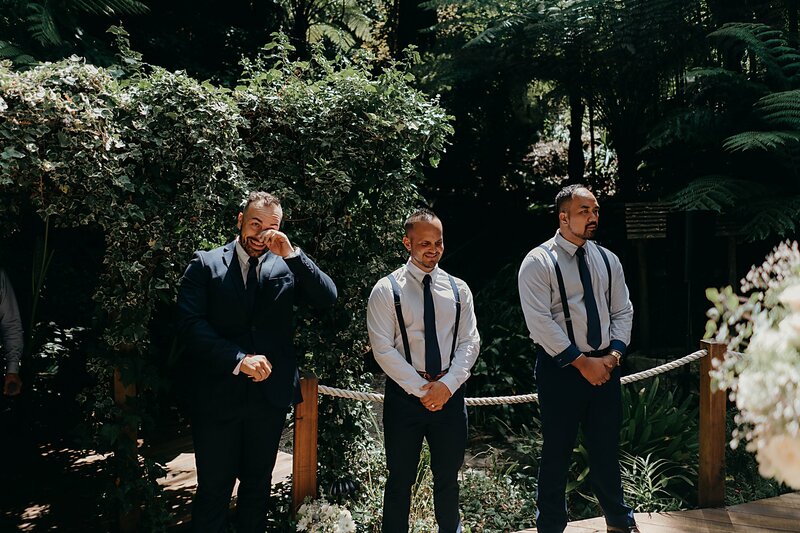 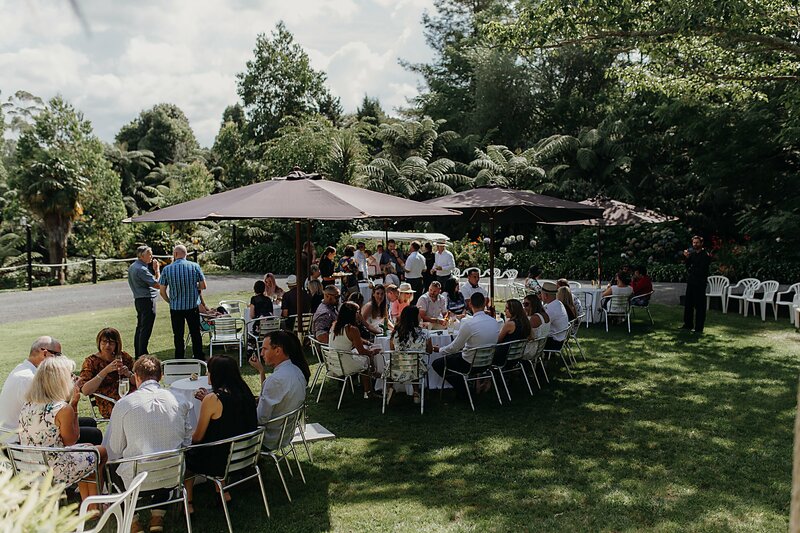 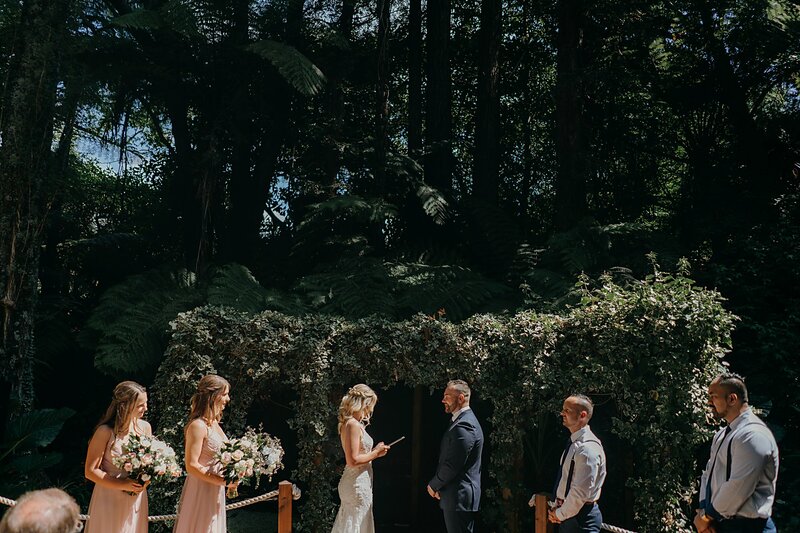 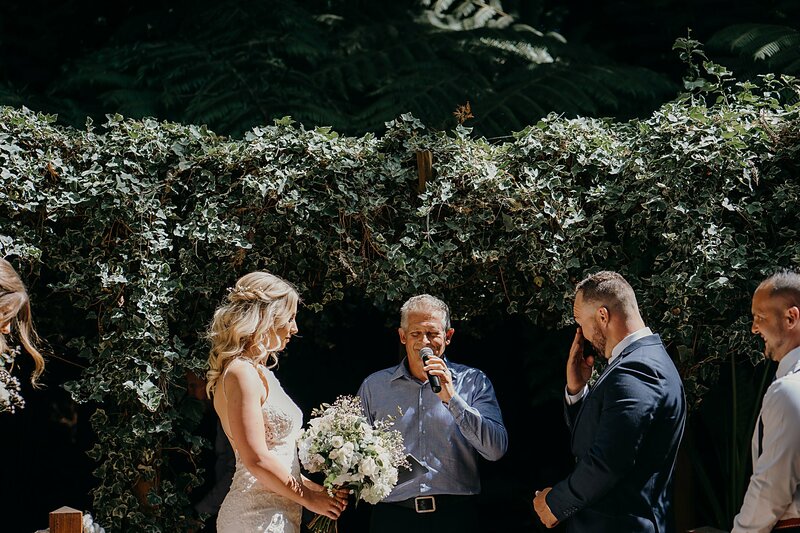 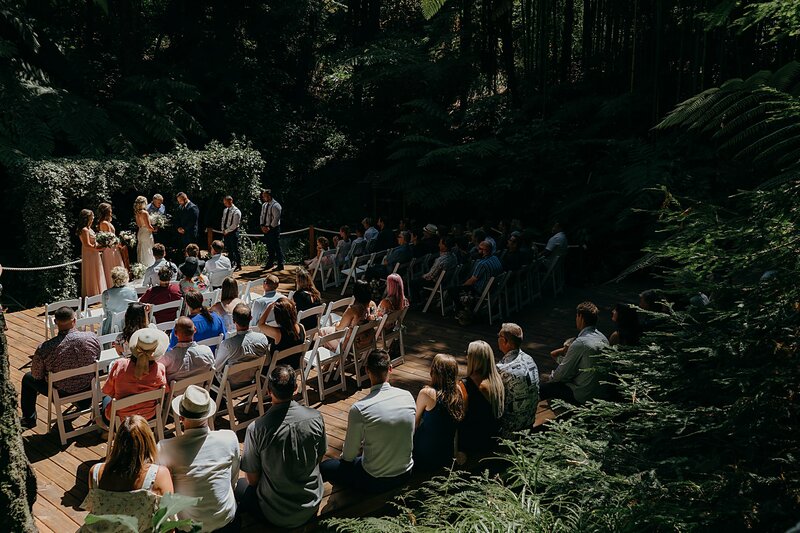 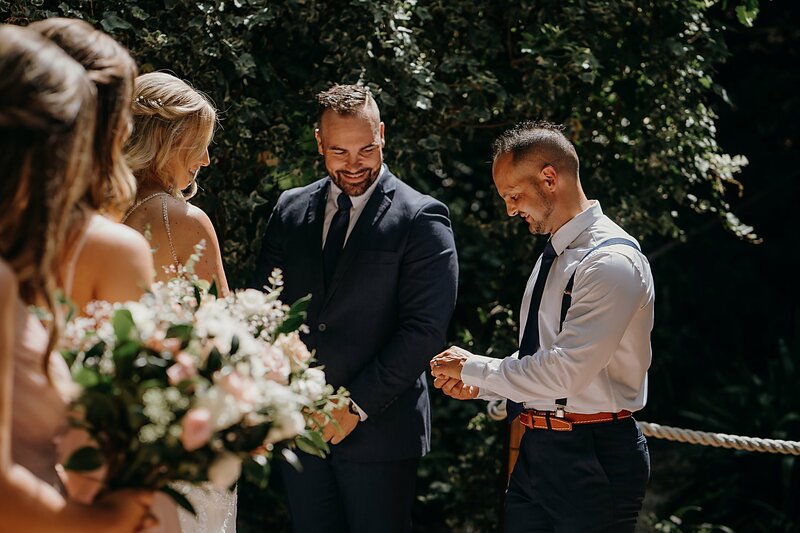 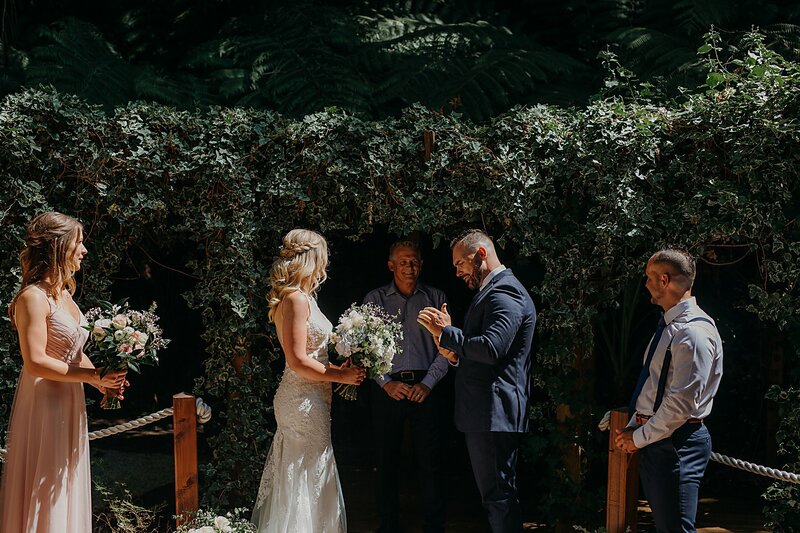 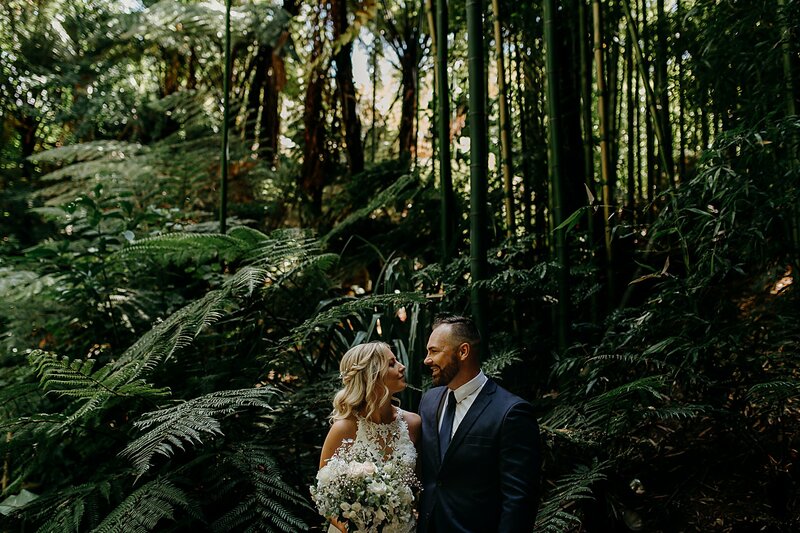 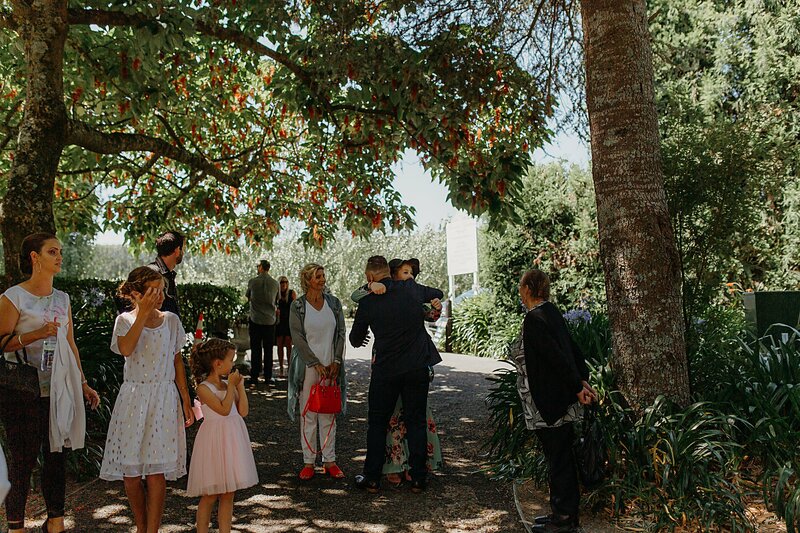 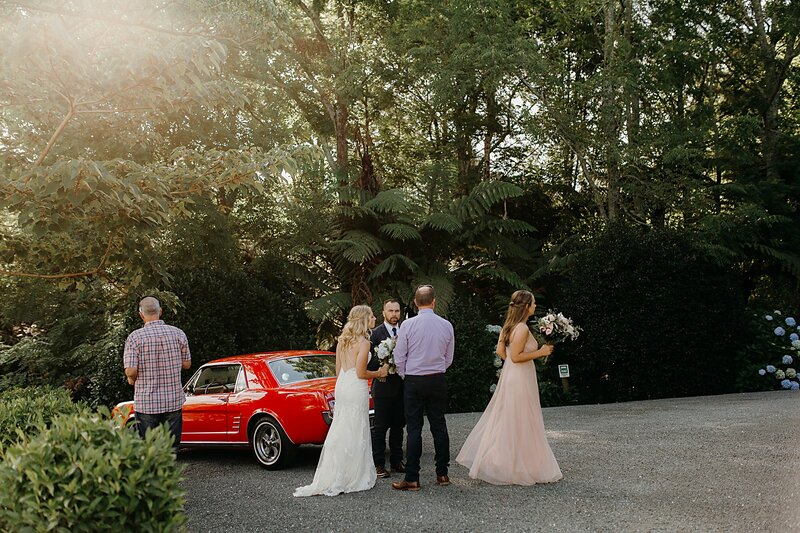 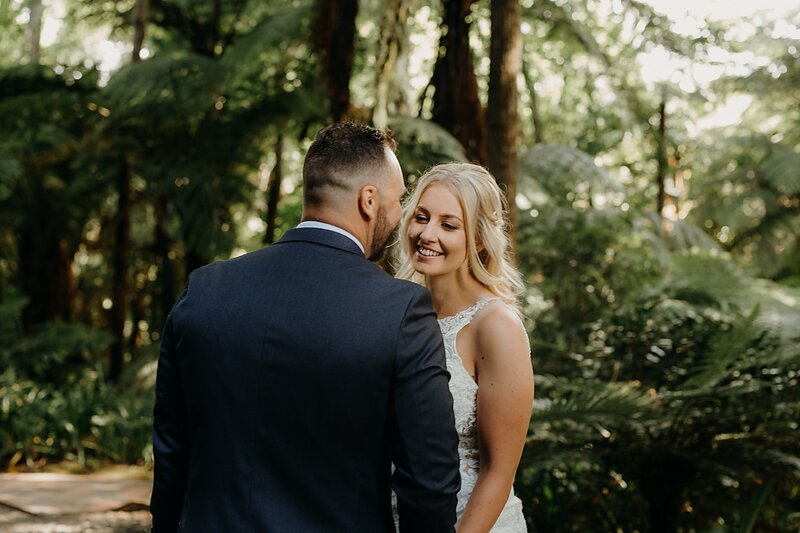 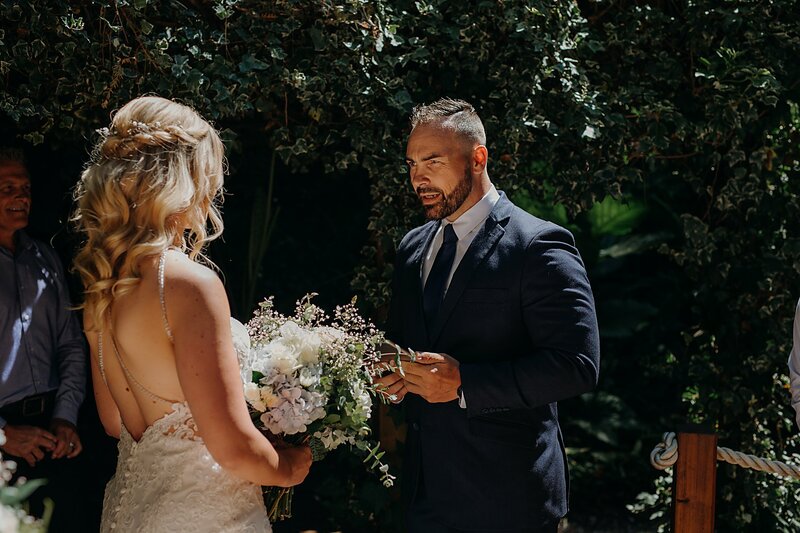 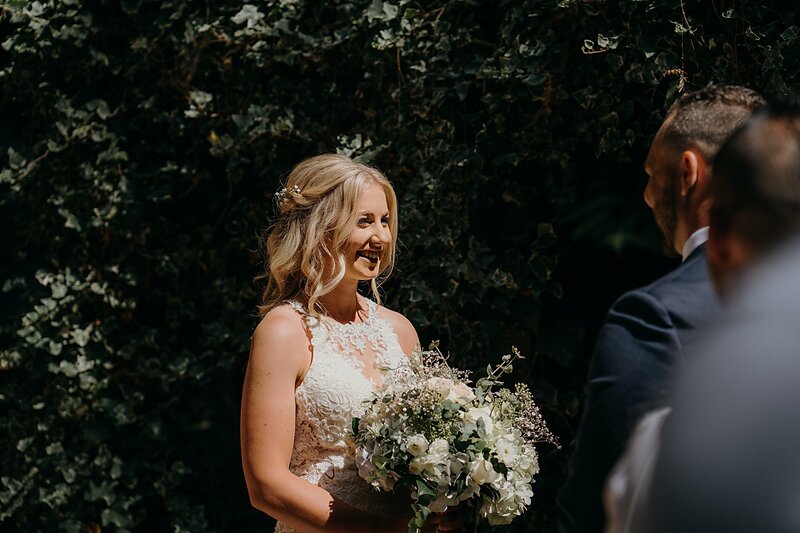 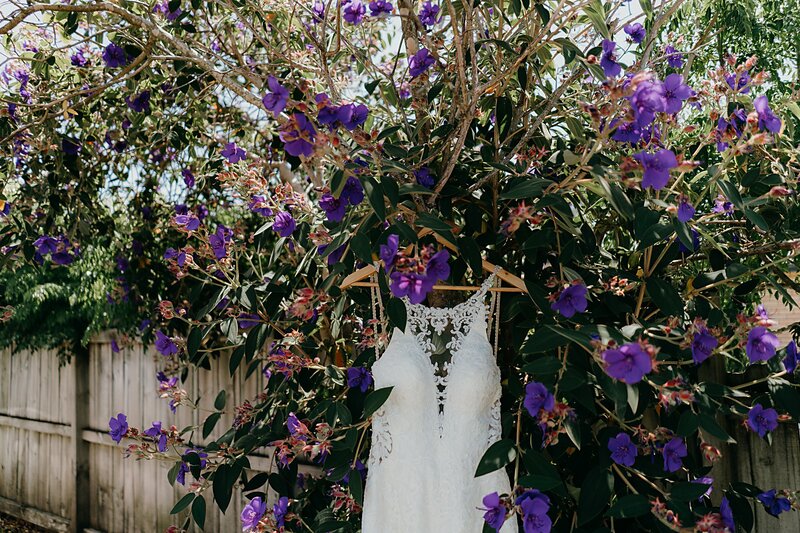 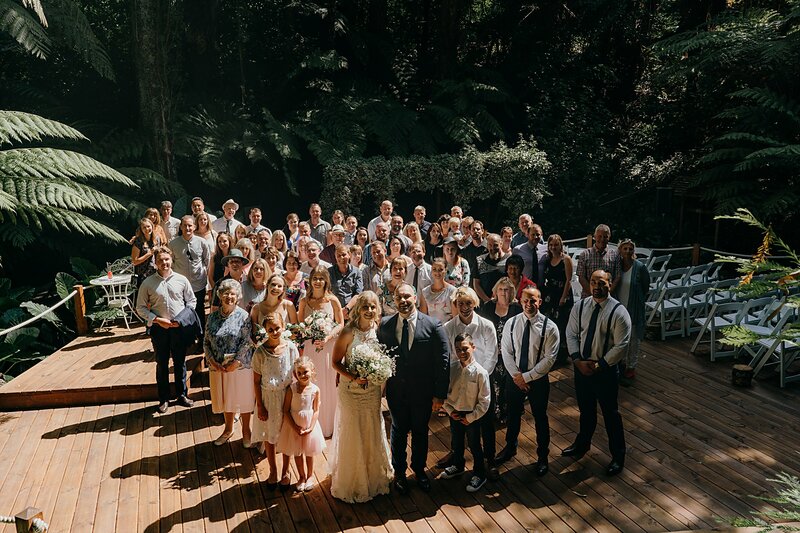 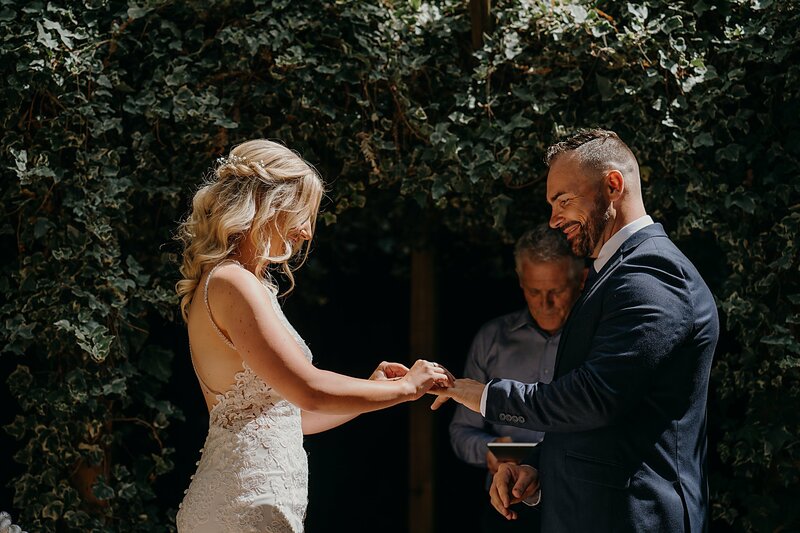 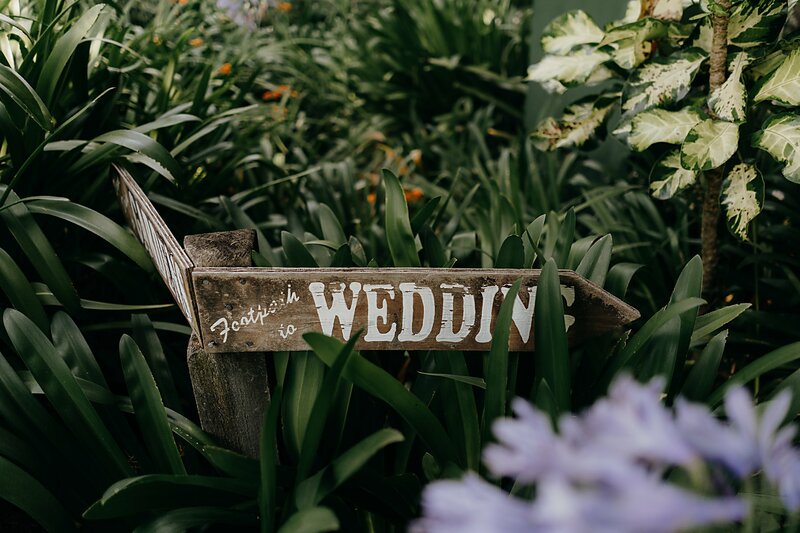 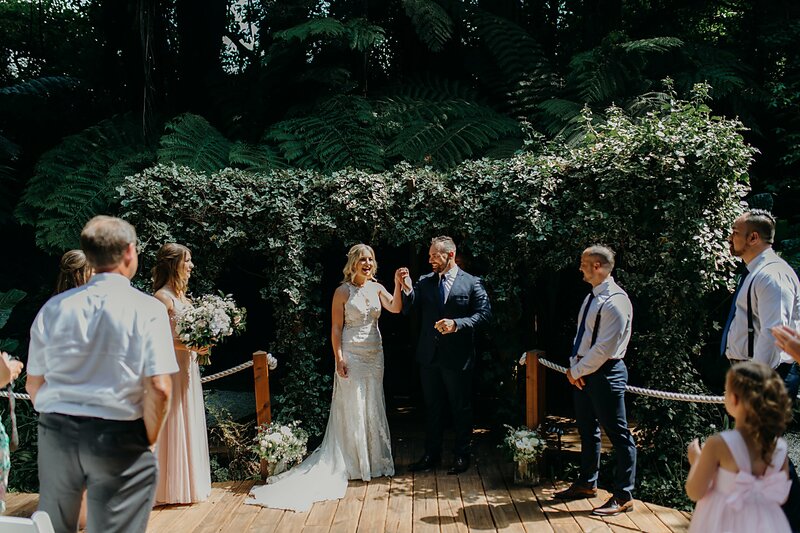 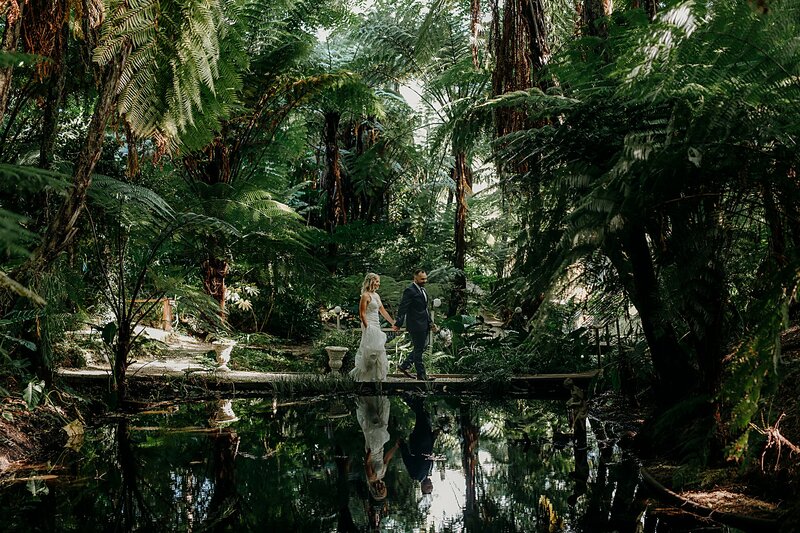 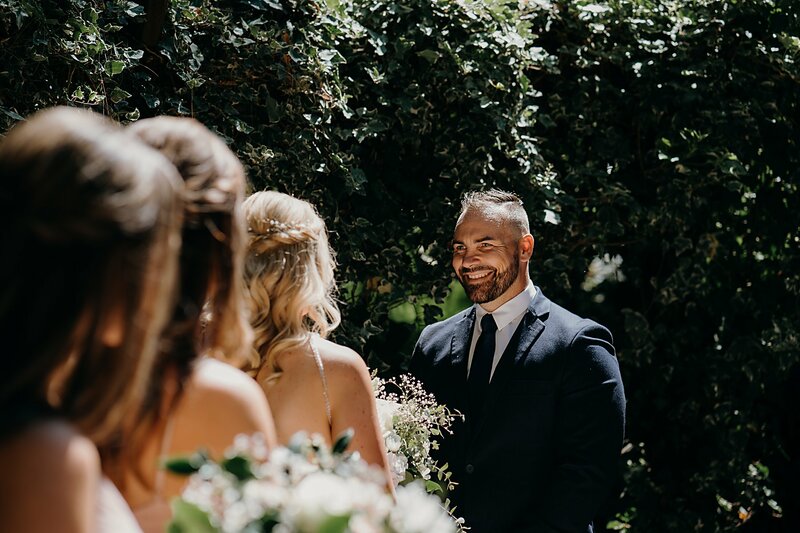 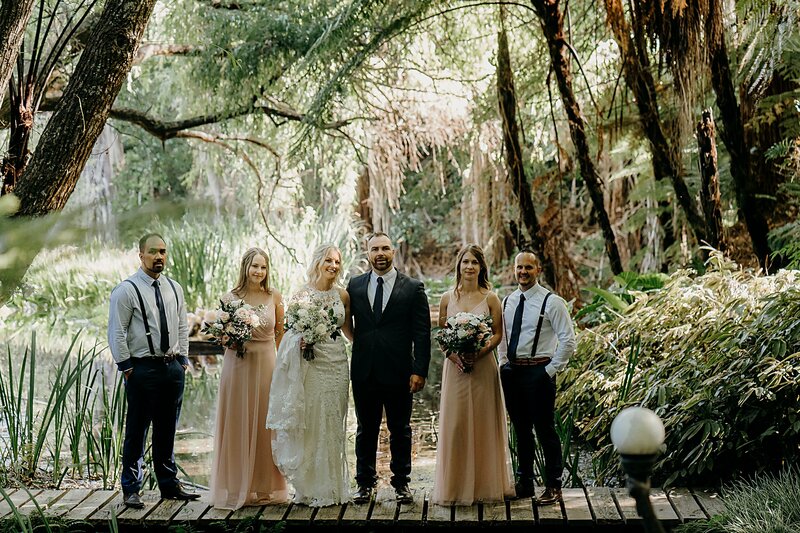 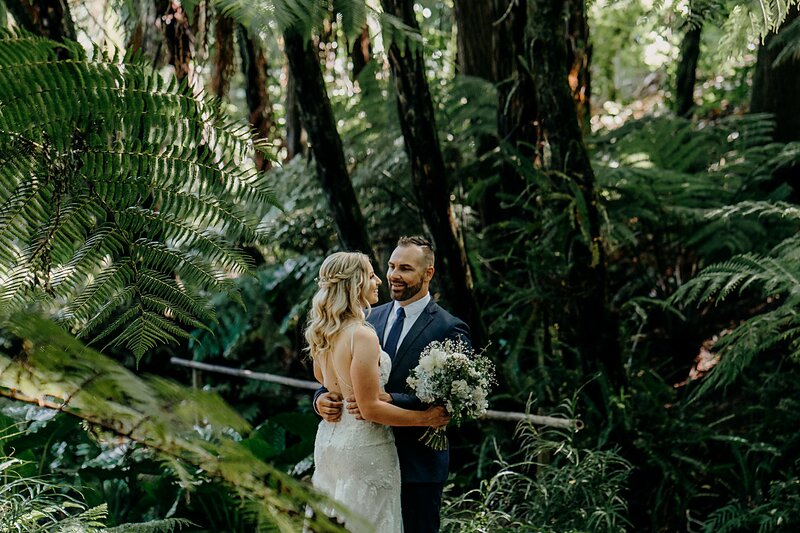 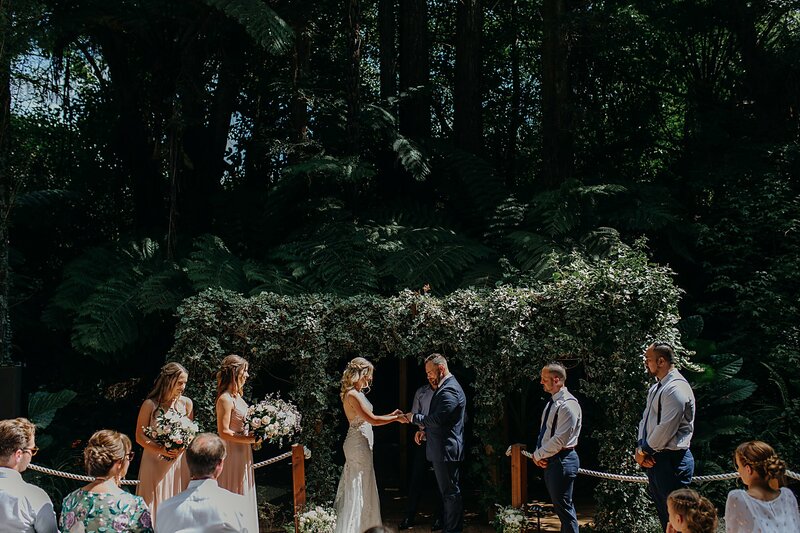 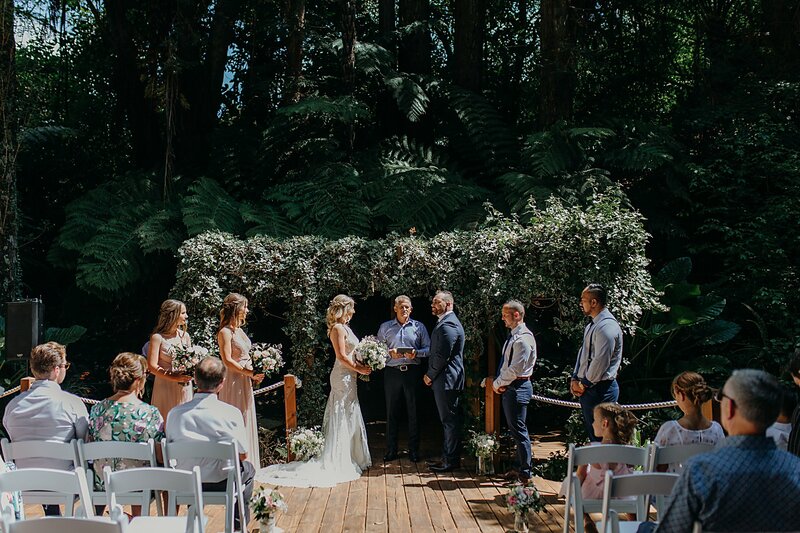 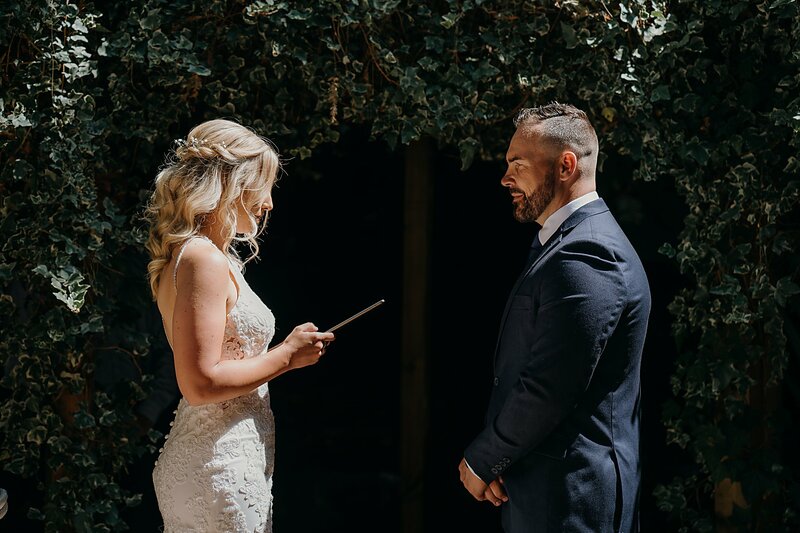 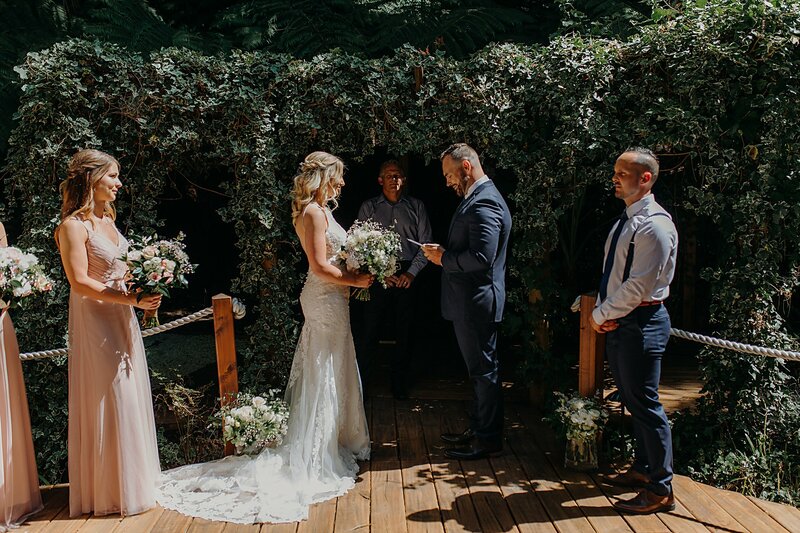 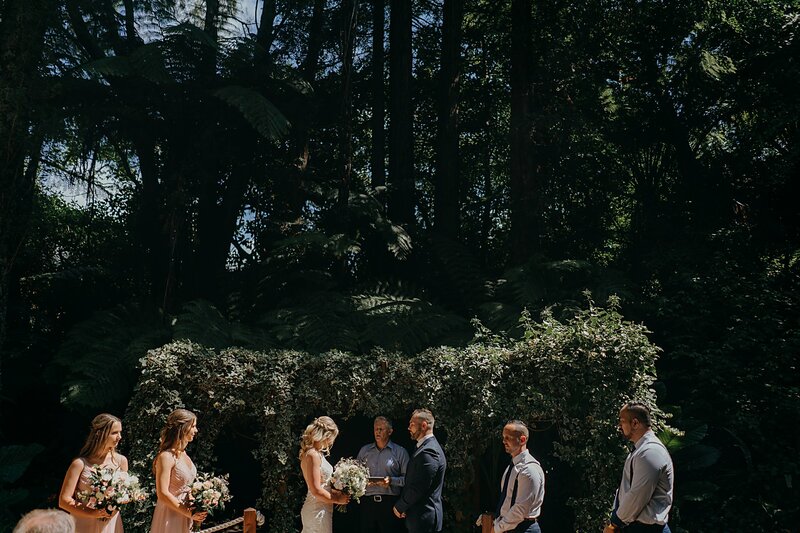 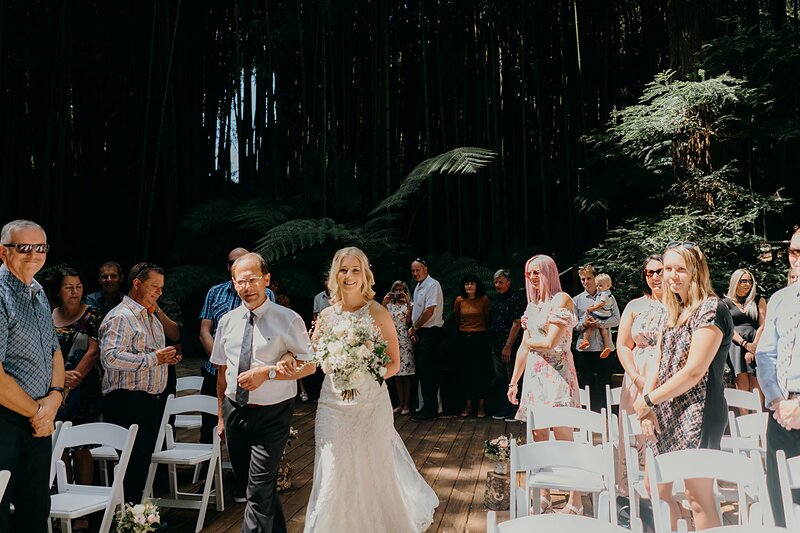 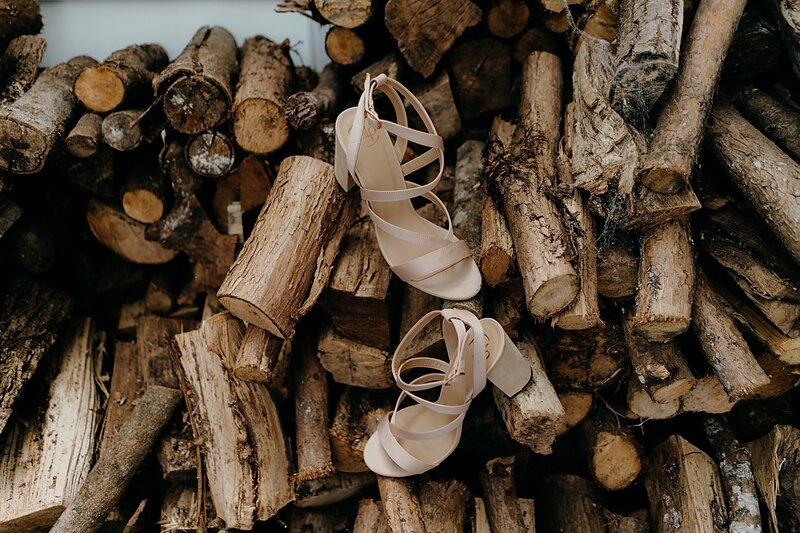 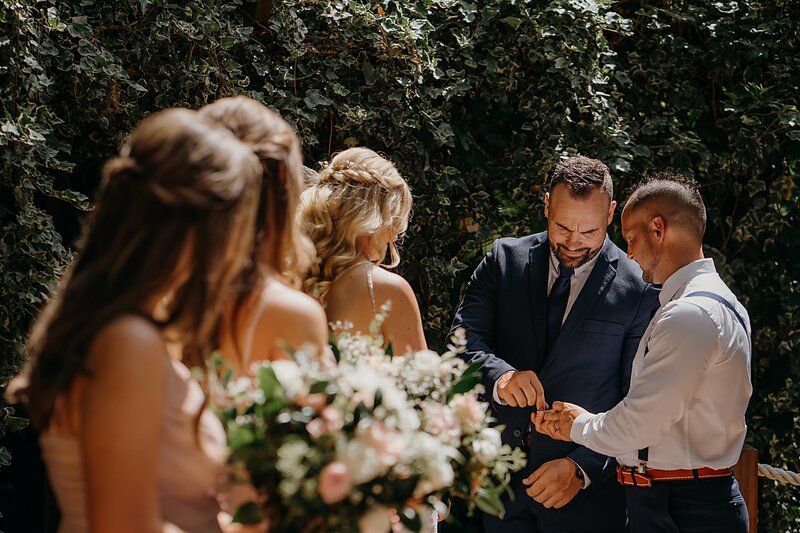 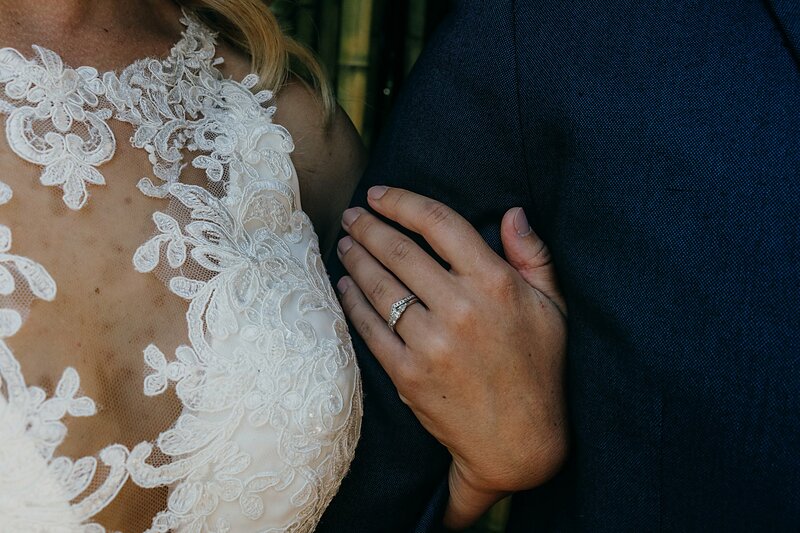 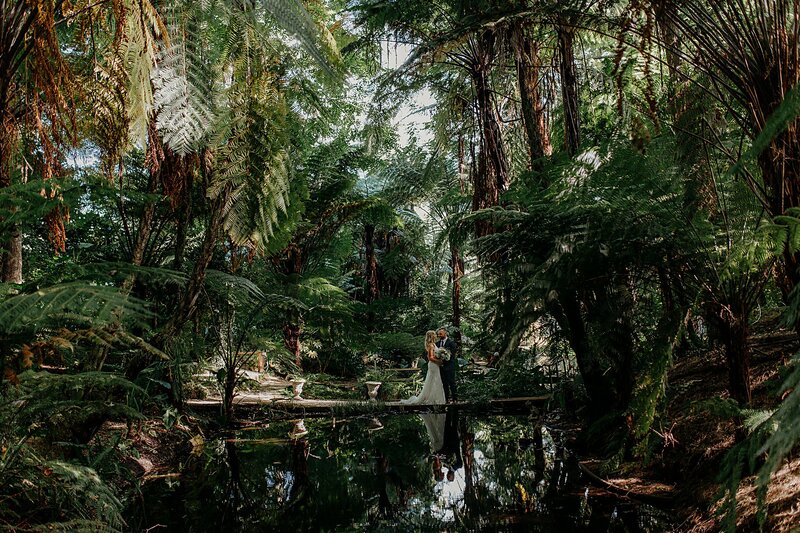 The ceremony venue is amongst gorgeous New Zealand greenery and surrounded by a little stream. 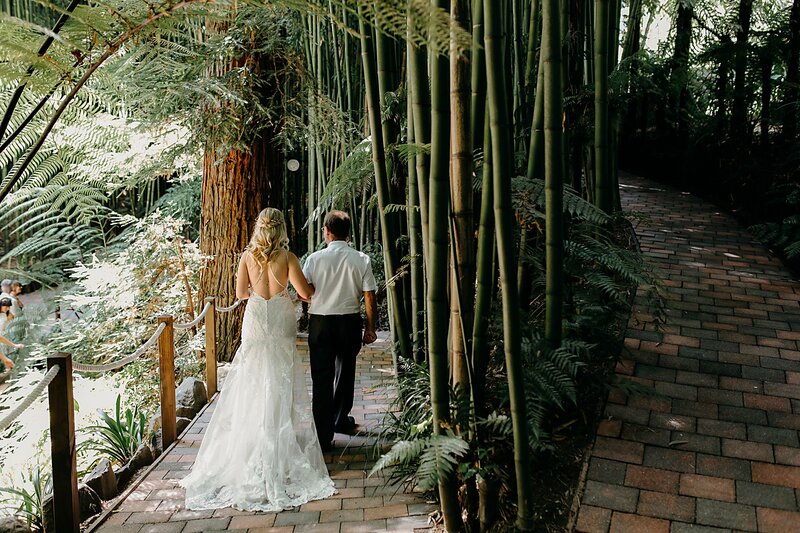 If you follow the path along the stream it leads you along the path past lots of fountains. 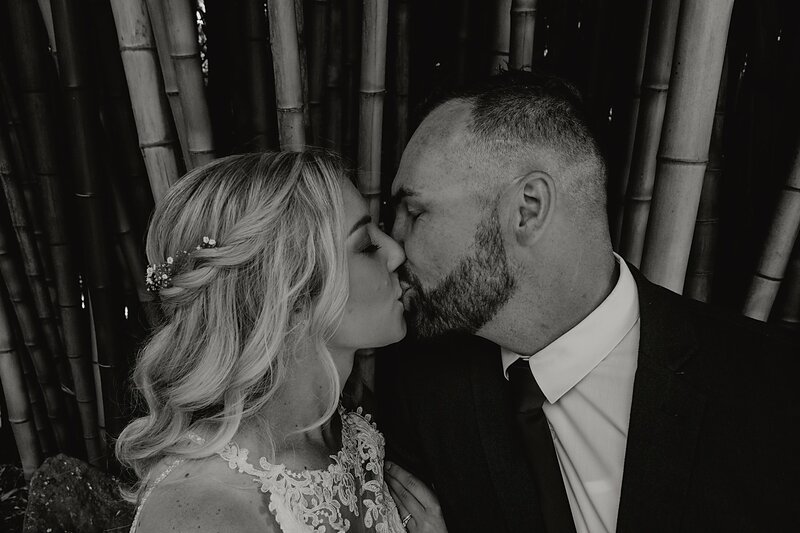 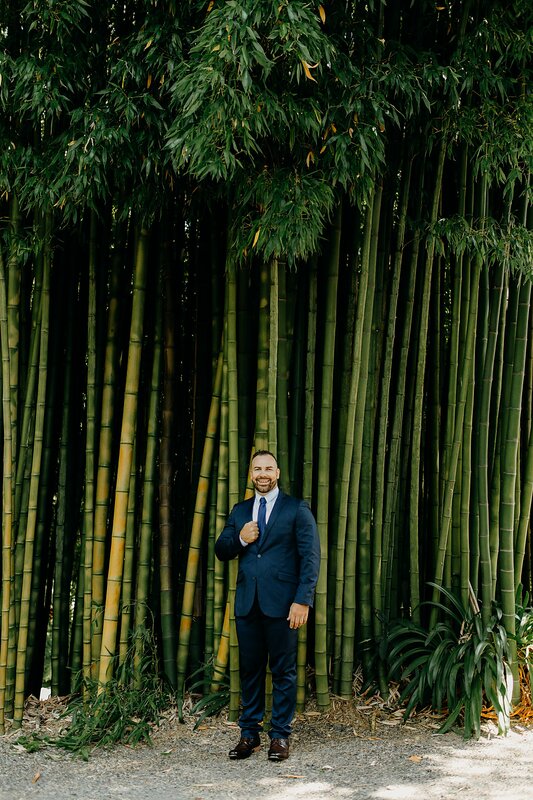 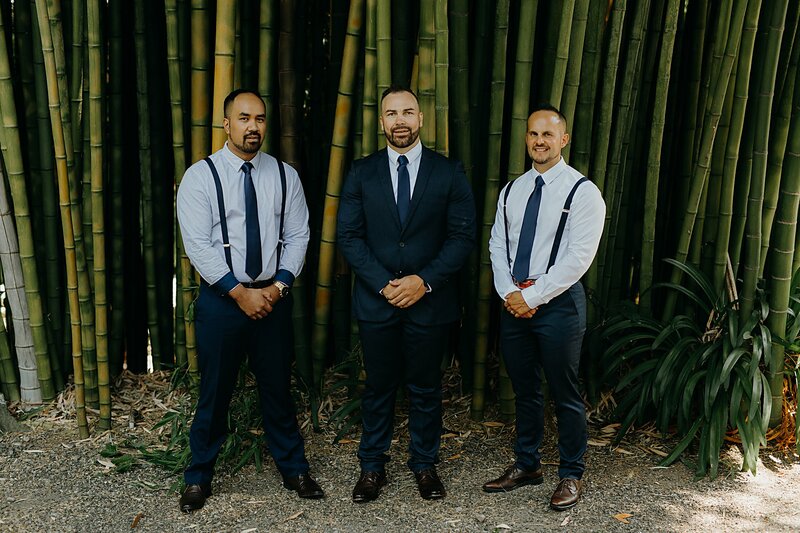 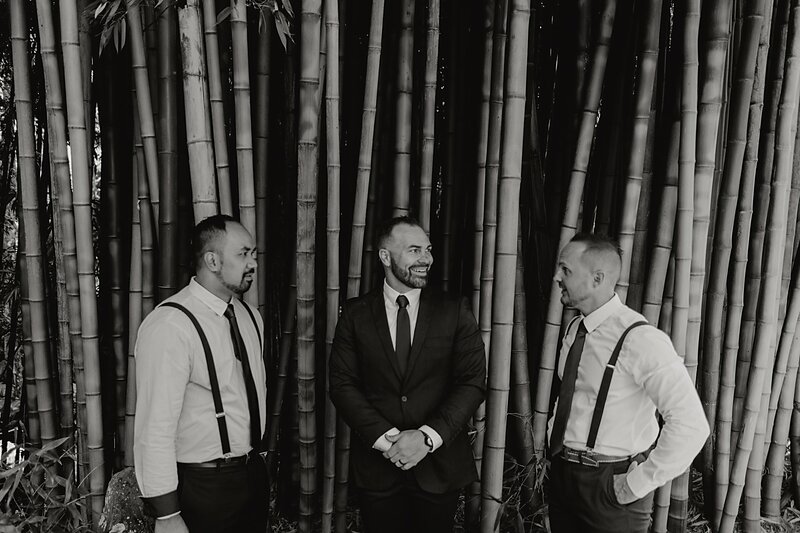 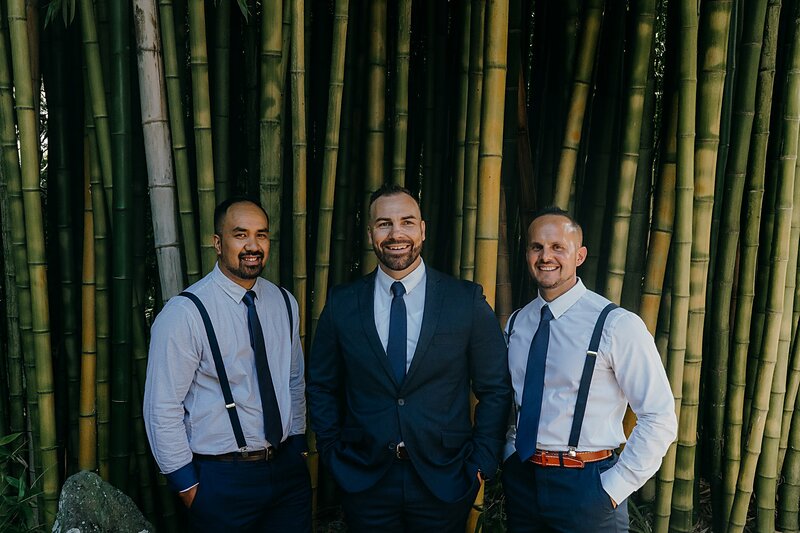 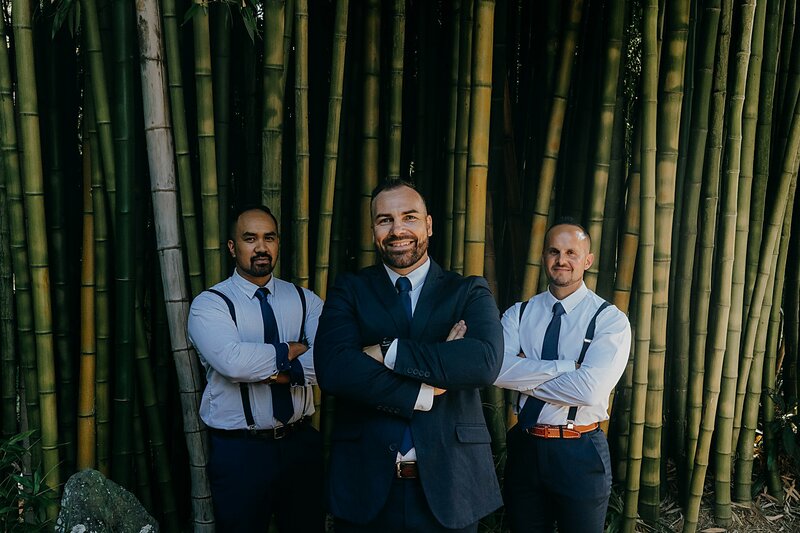 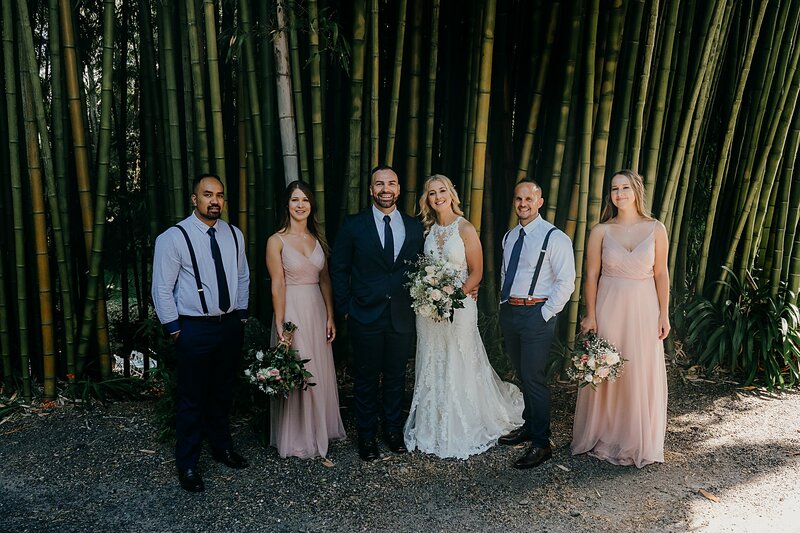 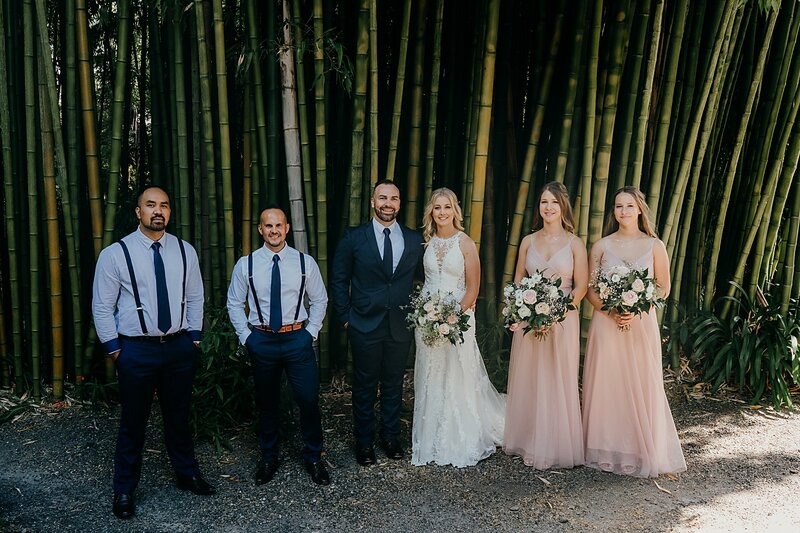 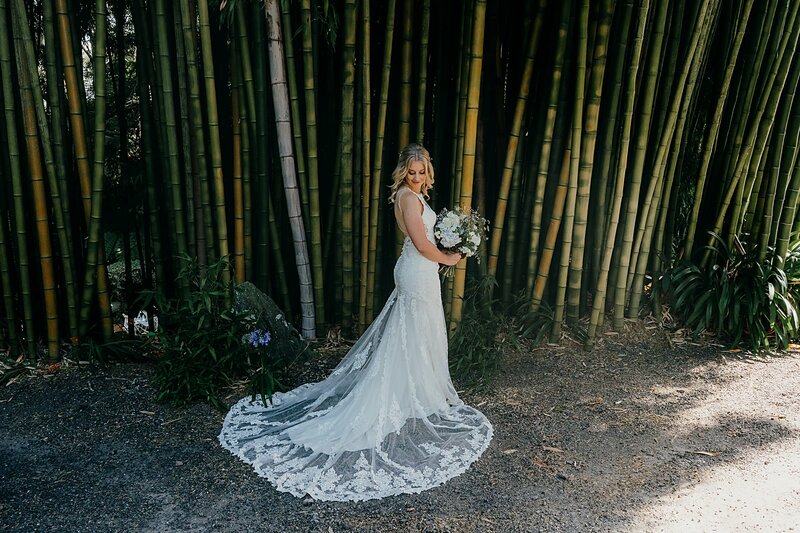 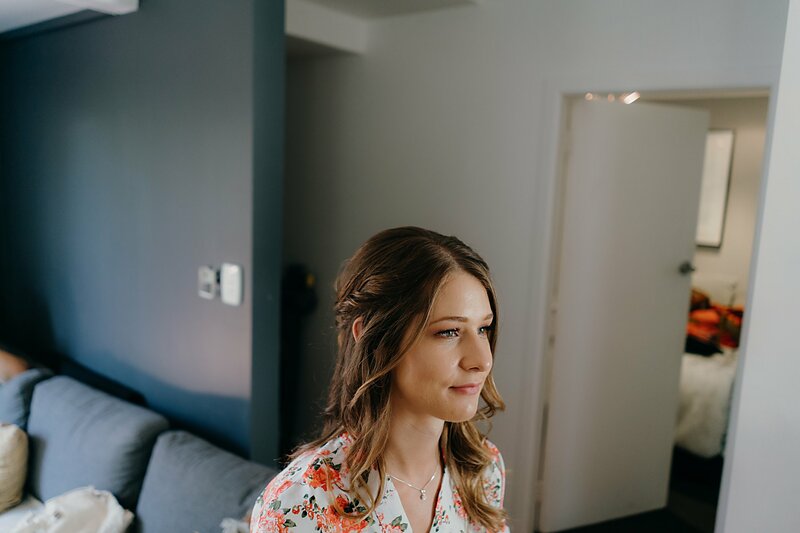 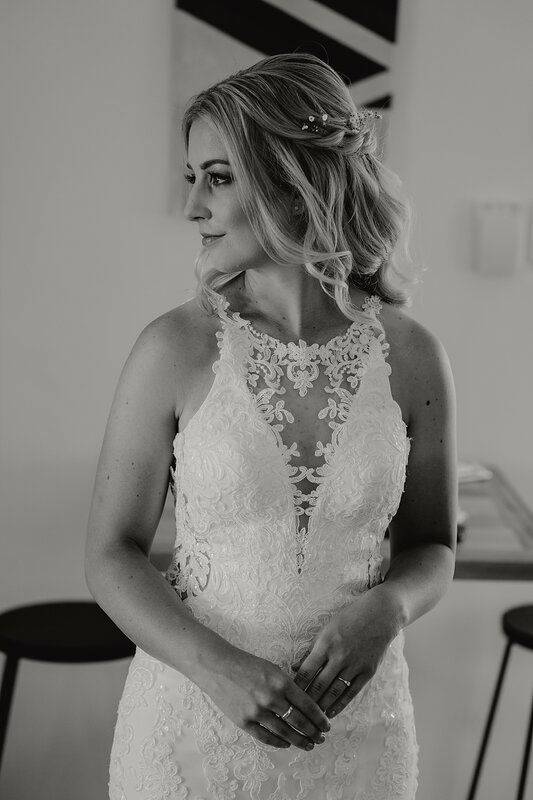 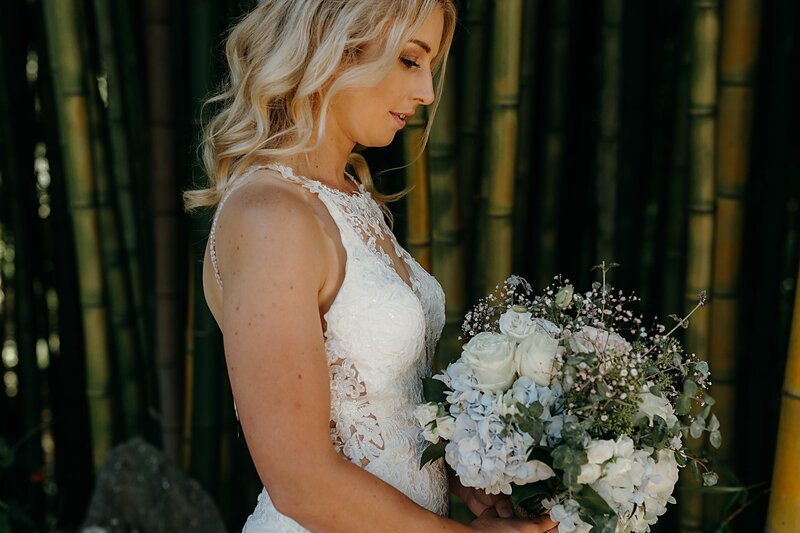 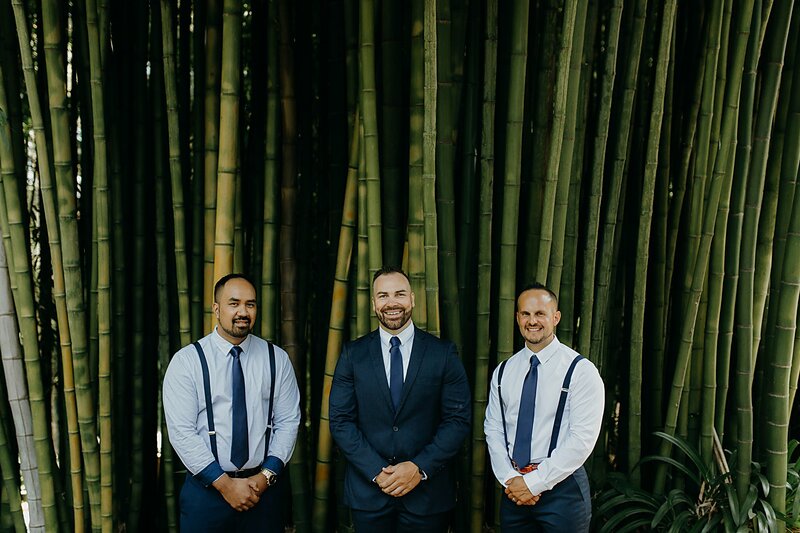 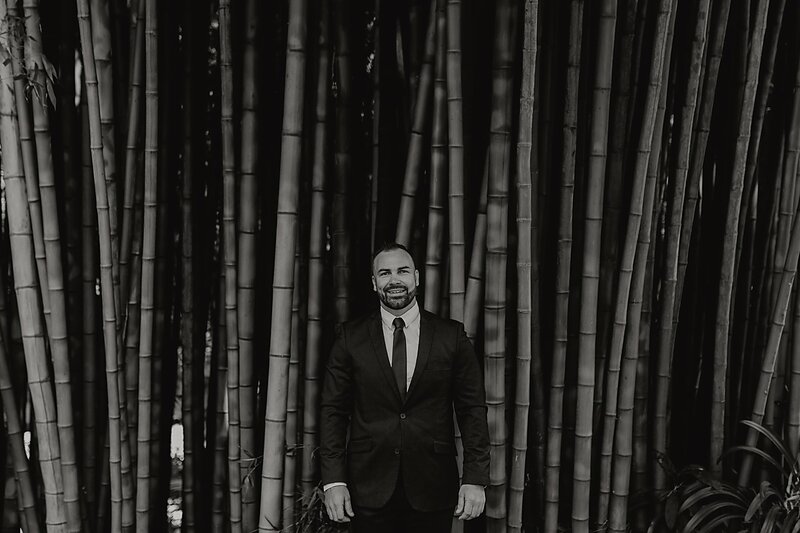 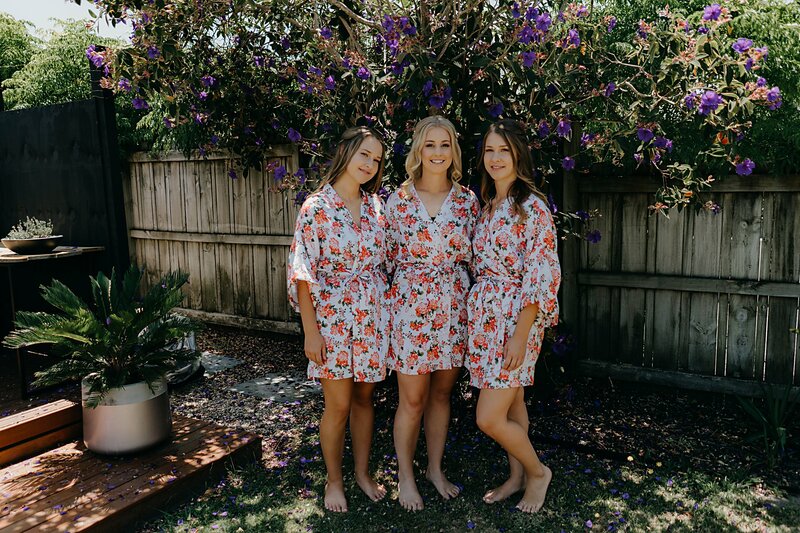 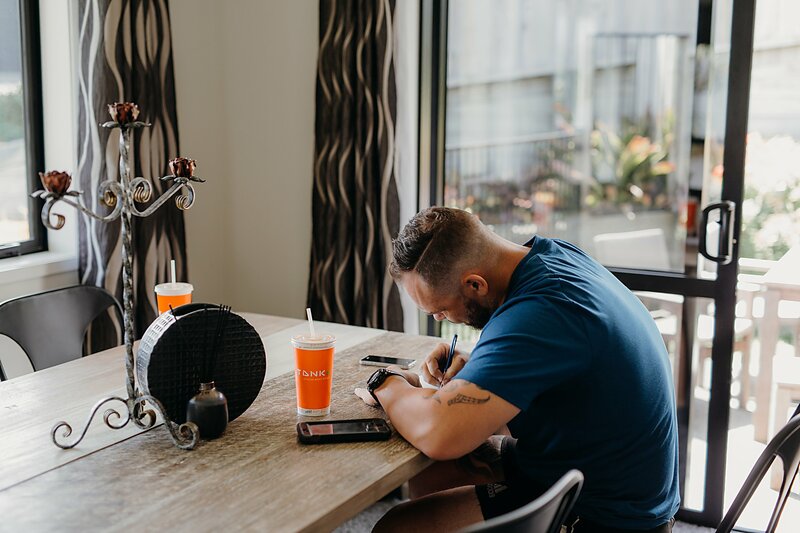 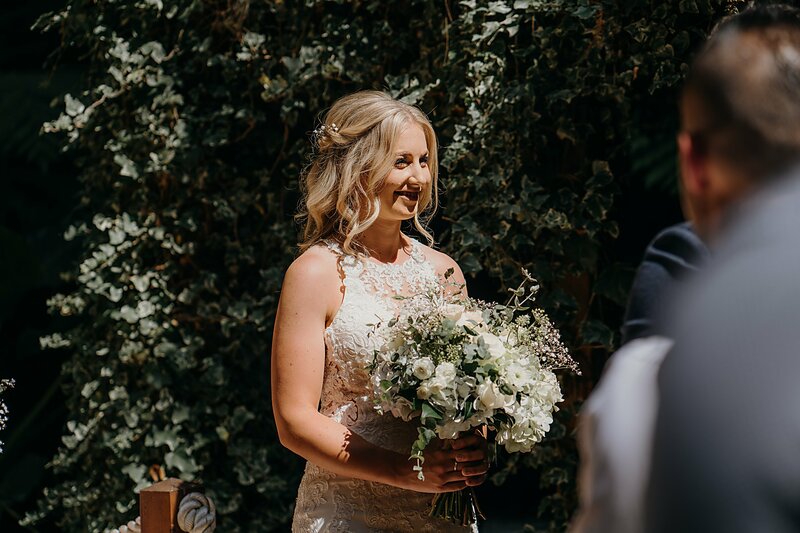 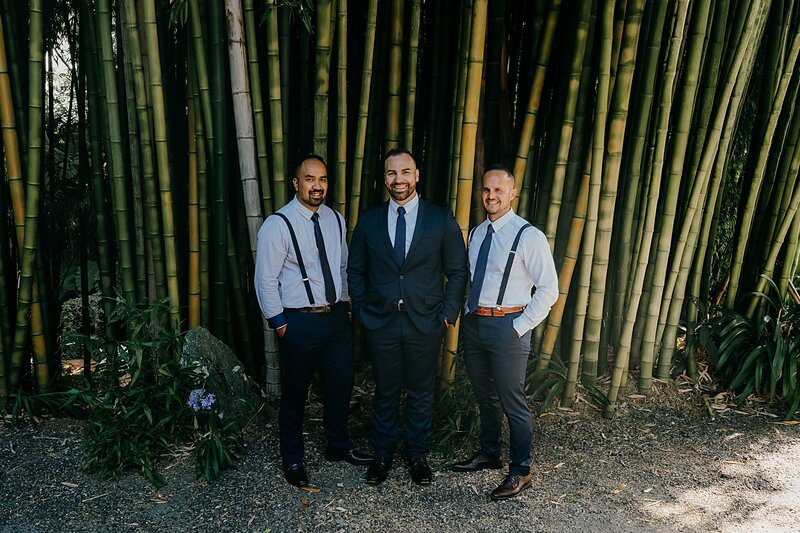 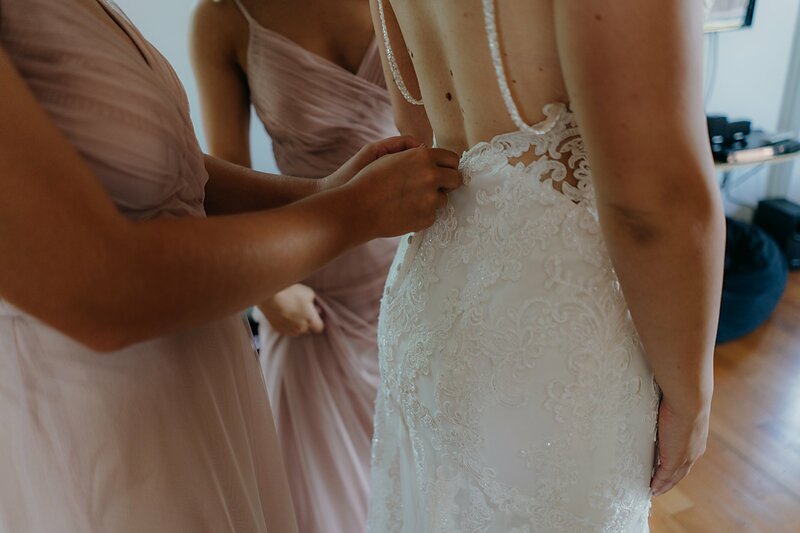 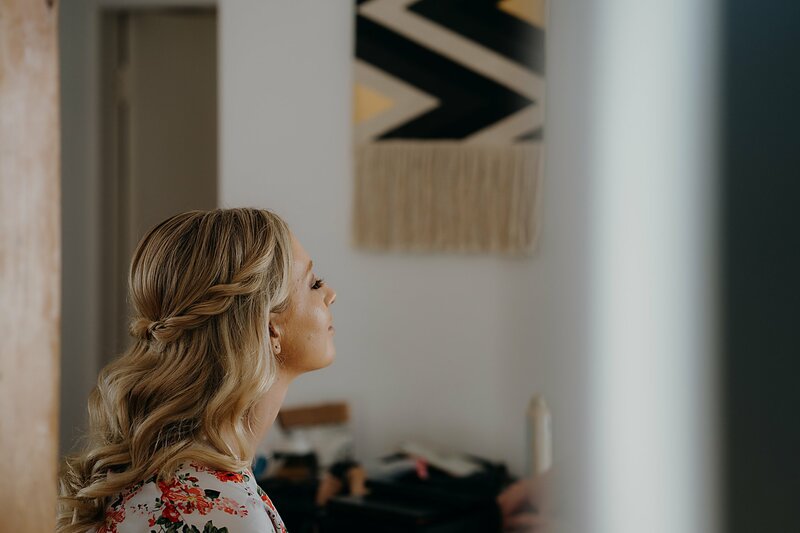 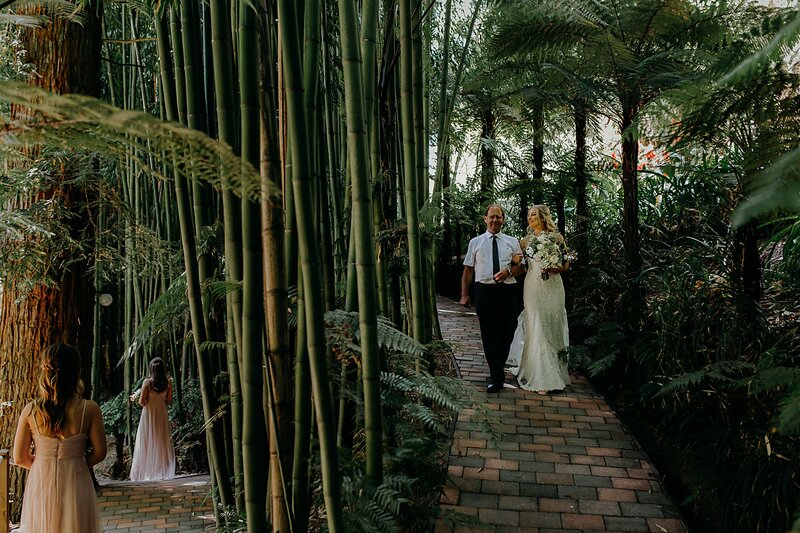 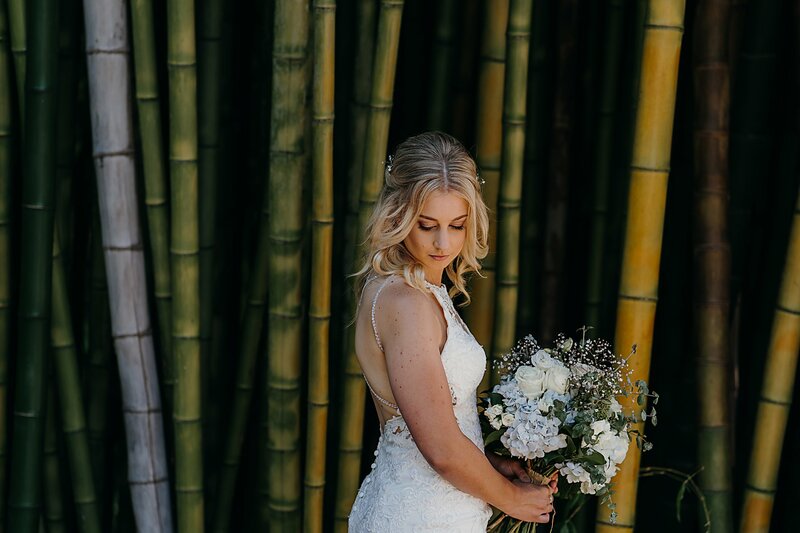 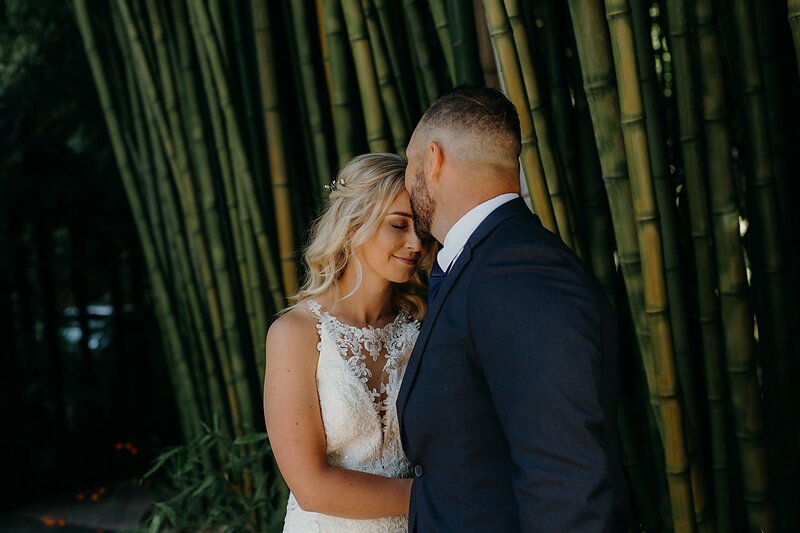 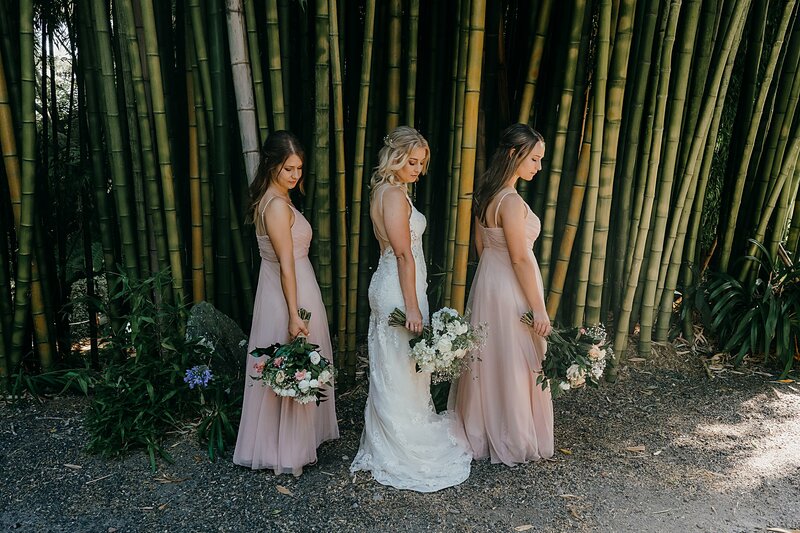 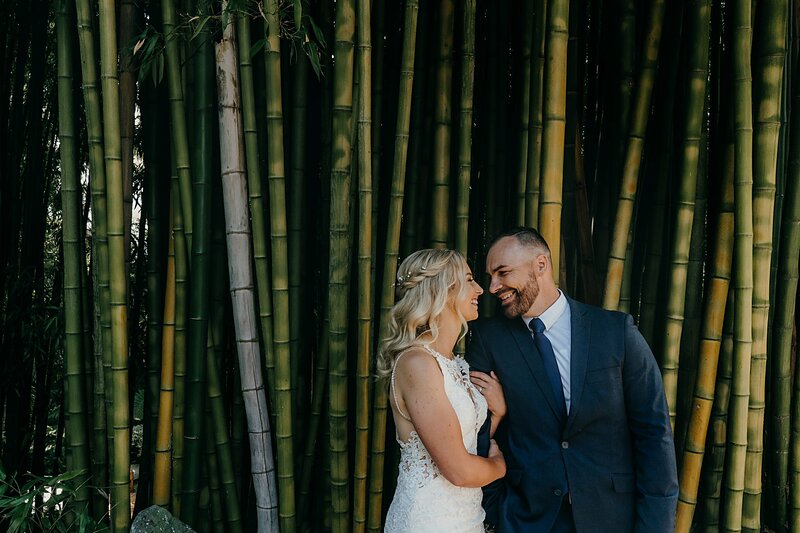 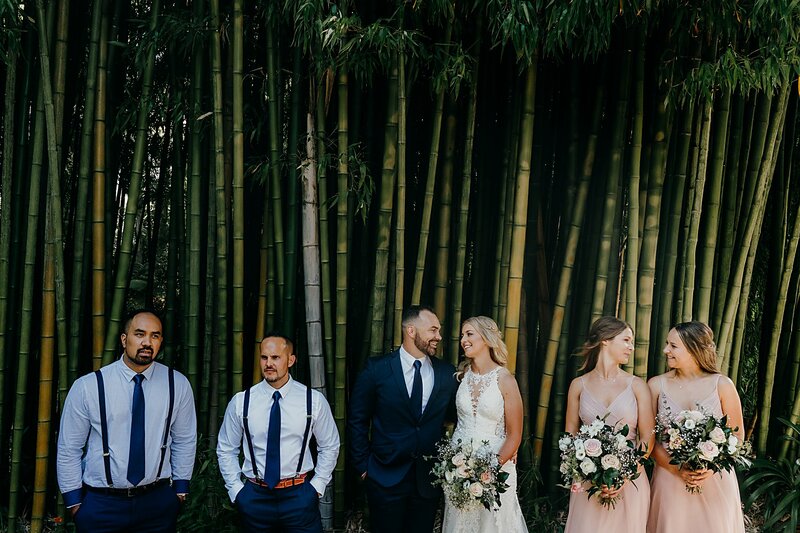 The venue provided so many gorgeous spots for photos, the bamboo is really amazing to look at. 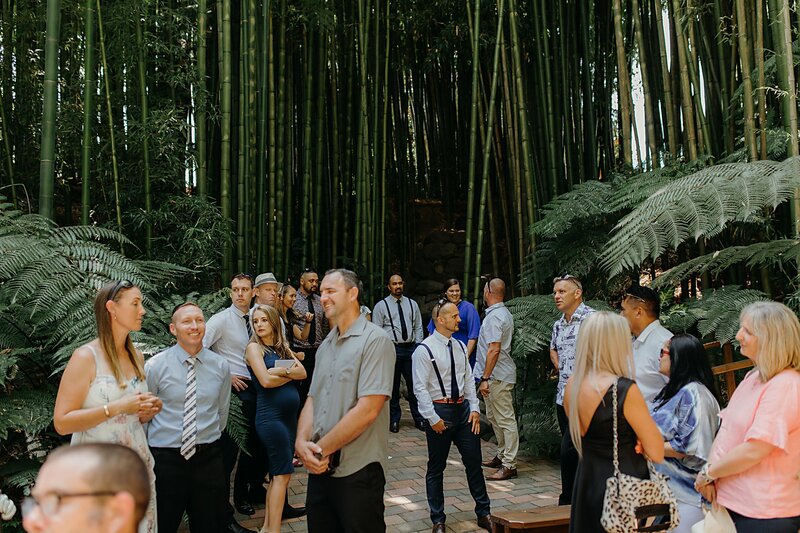 I had honestly never seen bigger bamboo except on tv. 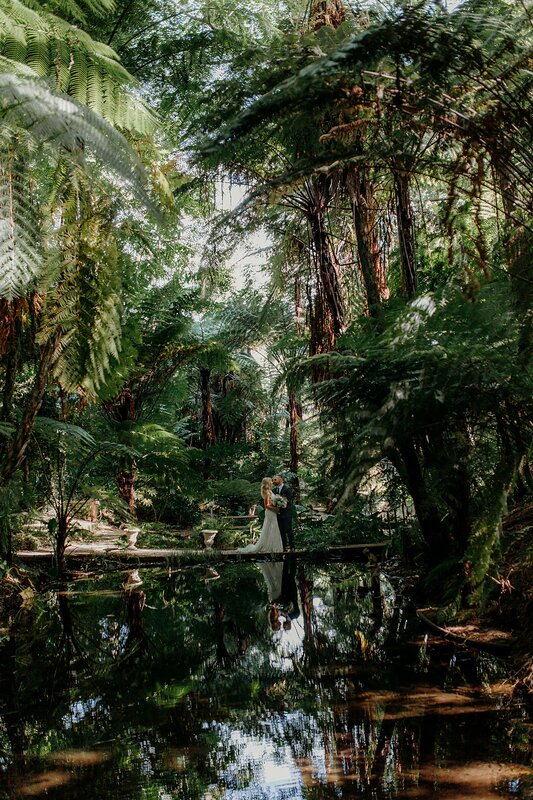 The little stream was beautiful surrounded by the greenery. 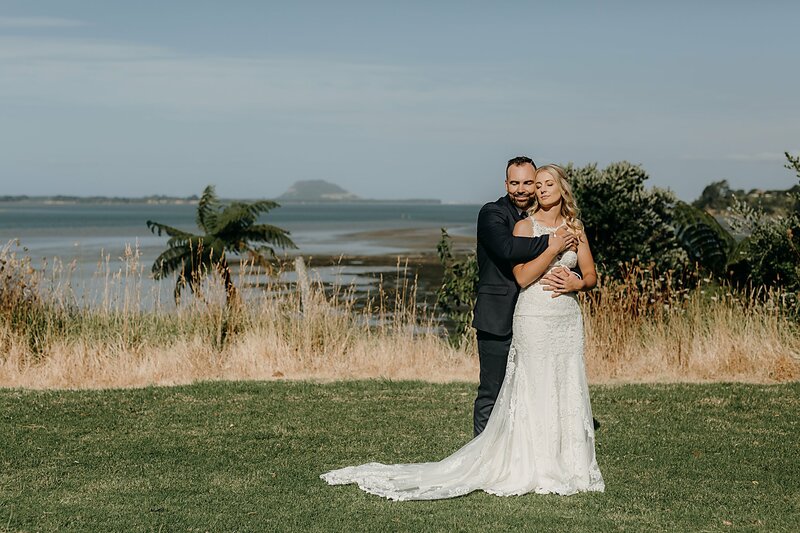 We also snuck further down the road where you could look out over the Mount in the background. 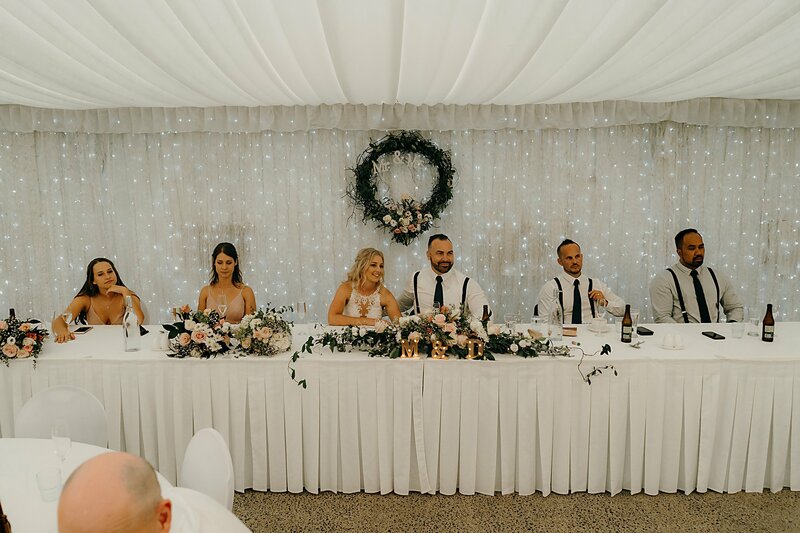 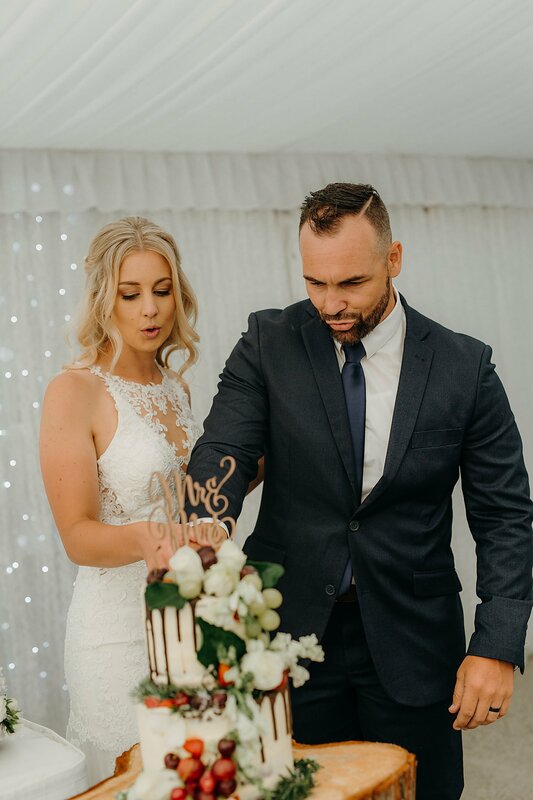 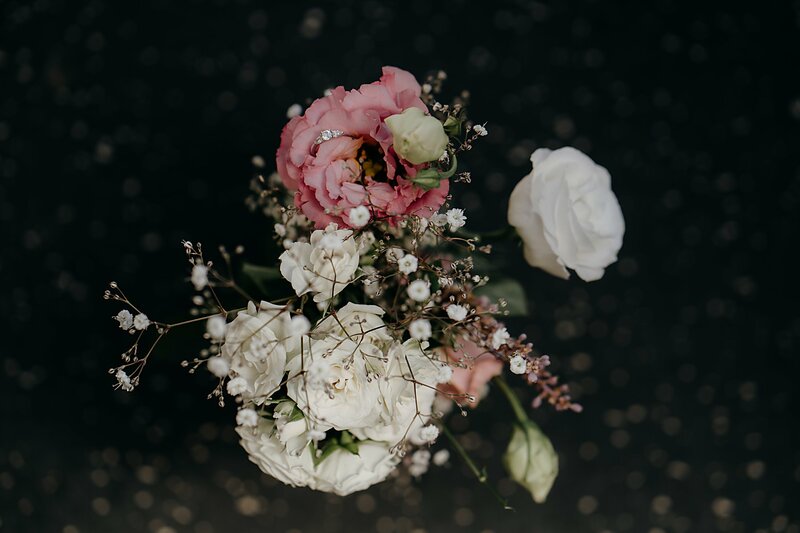 Melody’s aunty isn’t a florist but she is very very creative and made the beautiful bouquets, table arrangement and flowers along the aisle. 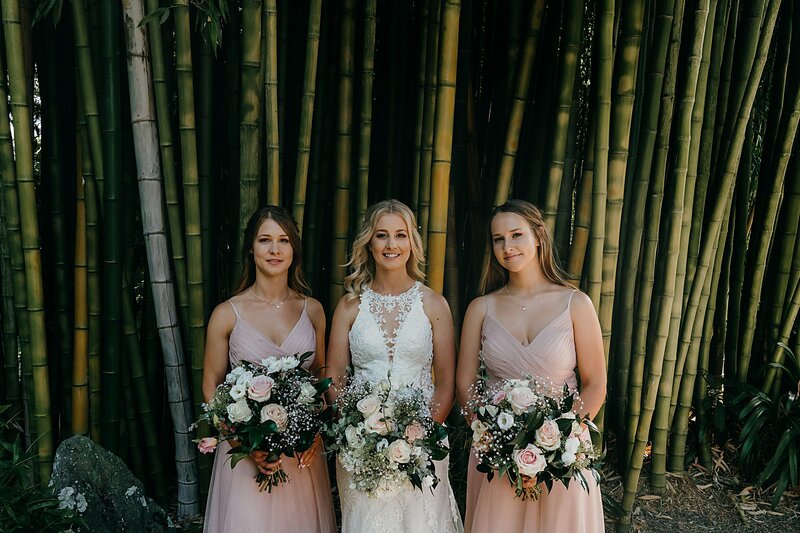 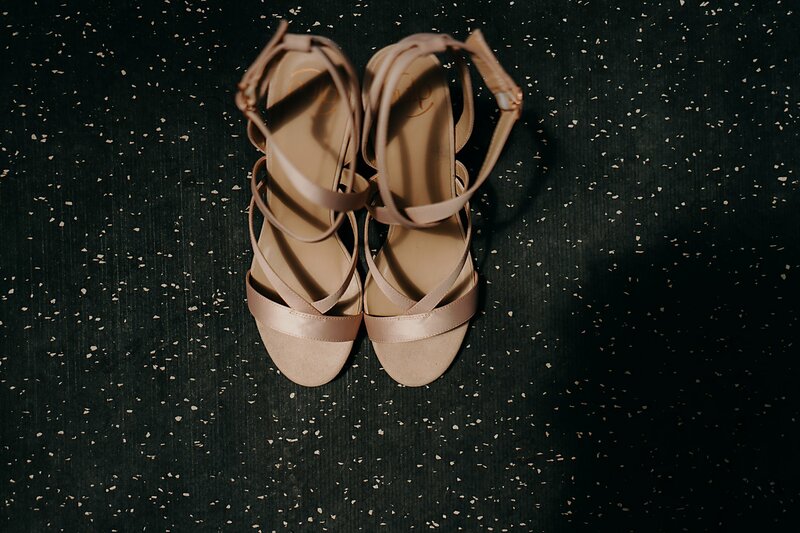 They were very gorgeous!